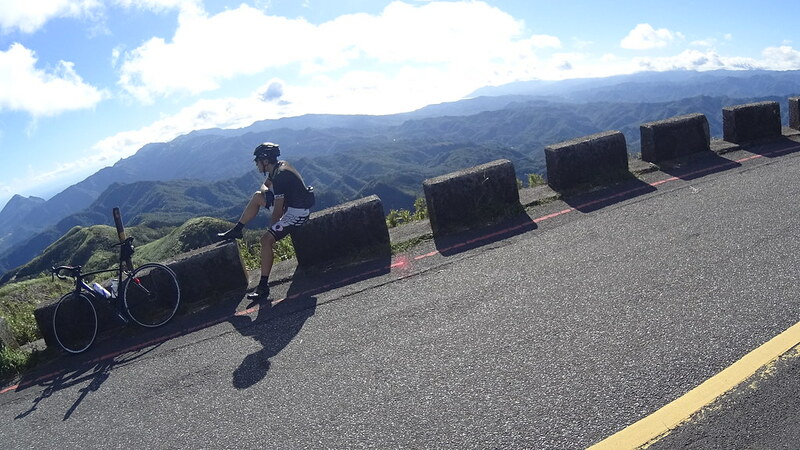 VIDEOS: Descending from Radar Mountain! 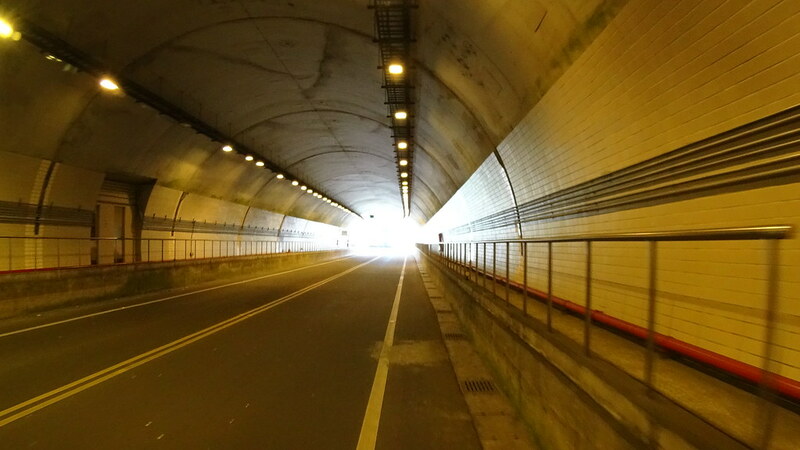 VIDEO: Descending from the Tunnel! 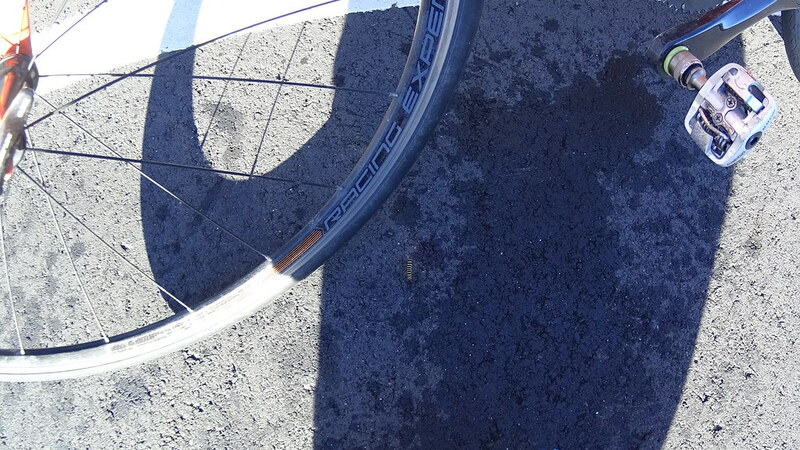 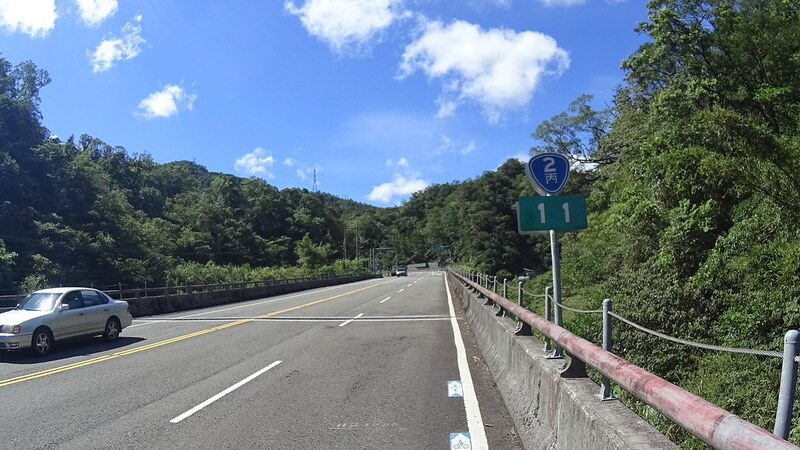 Bike Length: ~ 97 km. 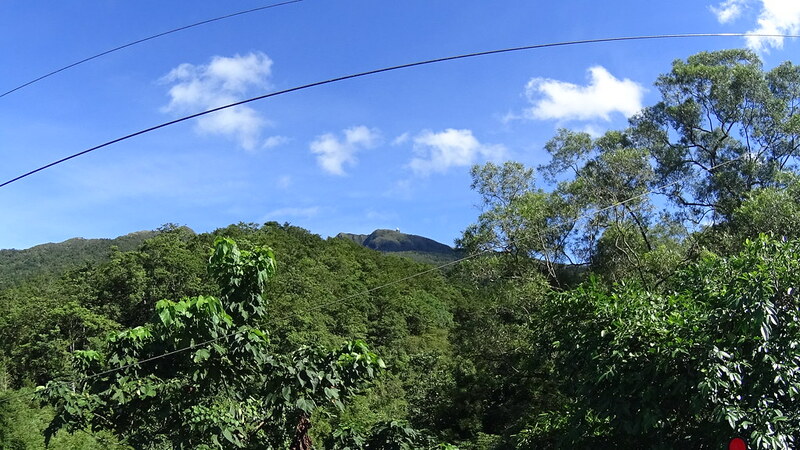 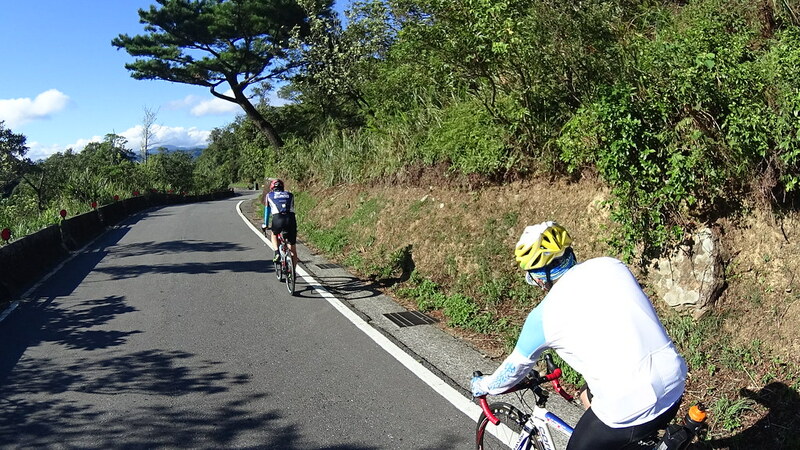 Elevation gain: ~ 1000 m.
Hill profile: One medium and one small. 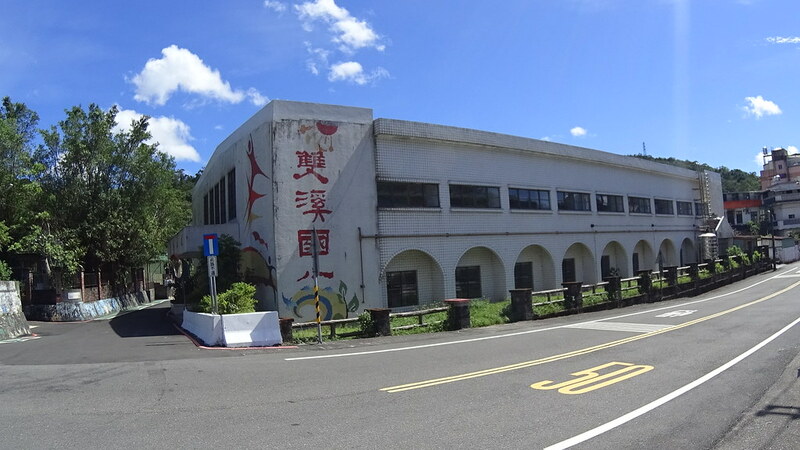 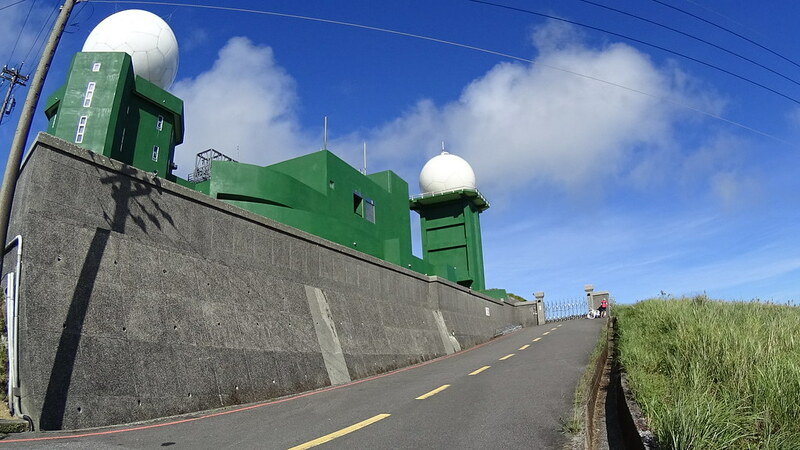 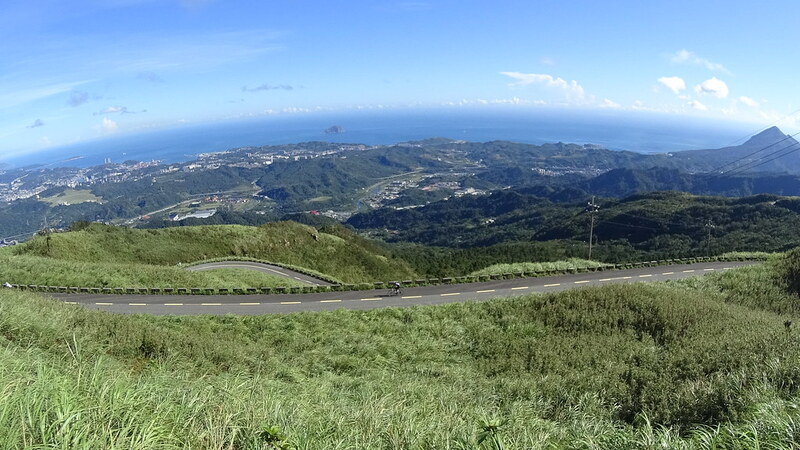 I have been wanting to do a proper (~100km) North East Taiwan Mountain Coastal Ride. 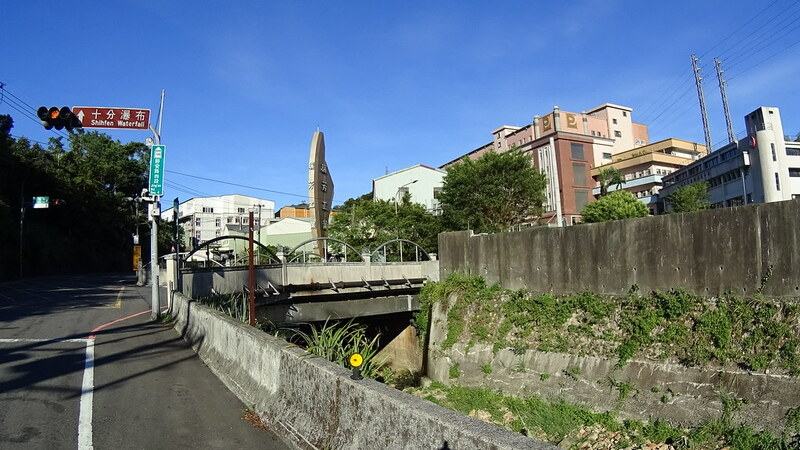 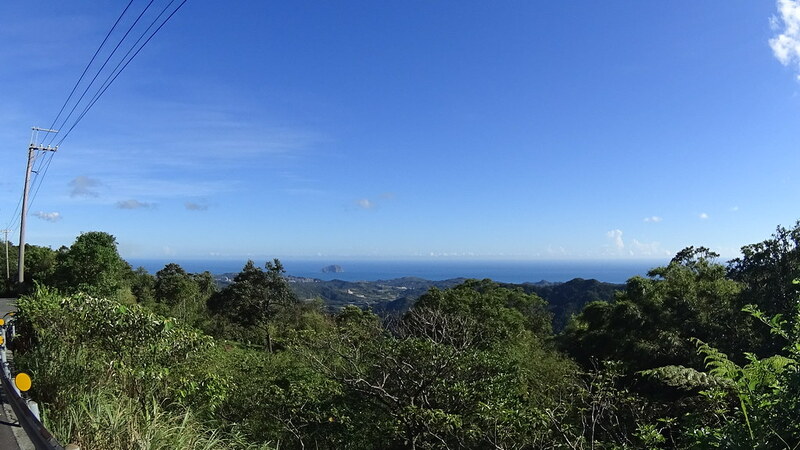 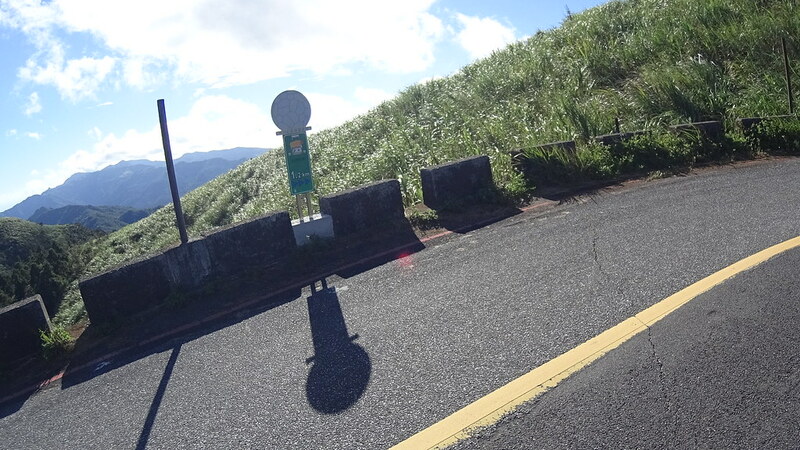 The last ride in this area was shorten due to rain, so I’m still not satisfied. 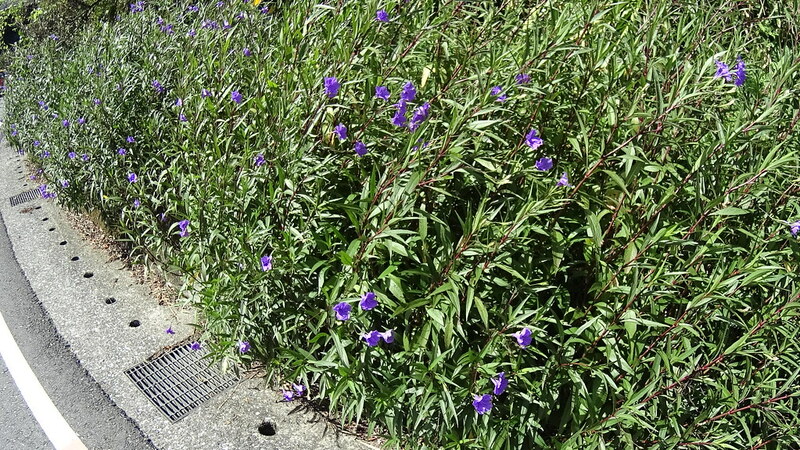 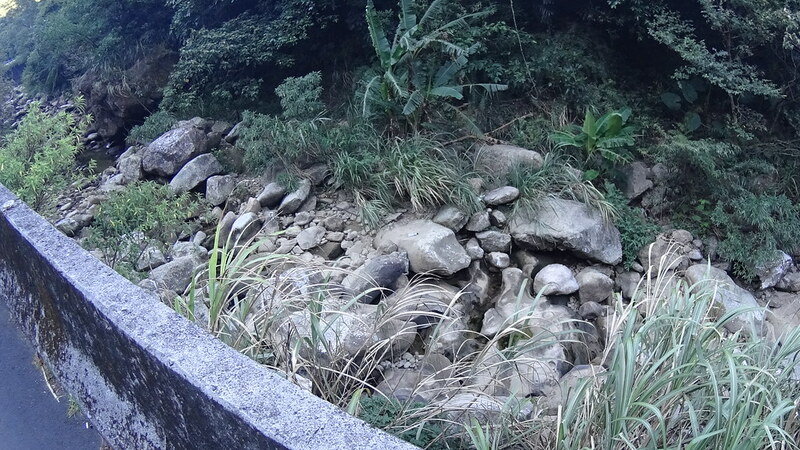 Heavy rain last time in this area. 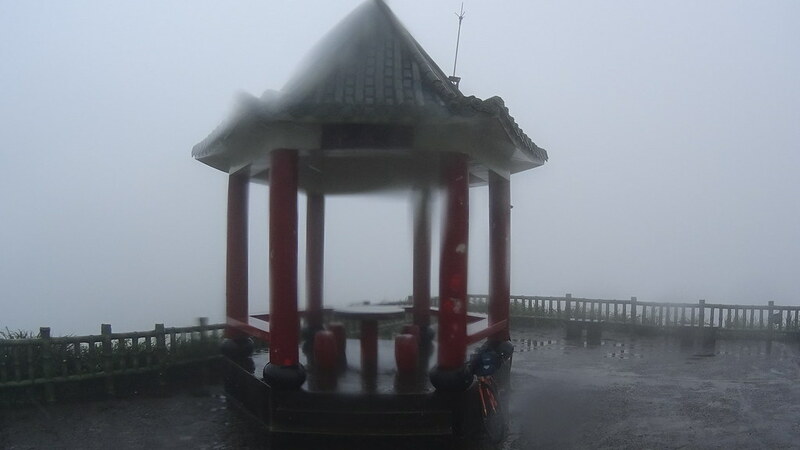 Couldn’t see anything. 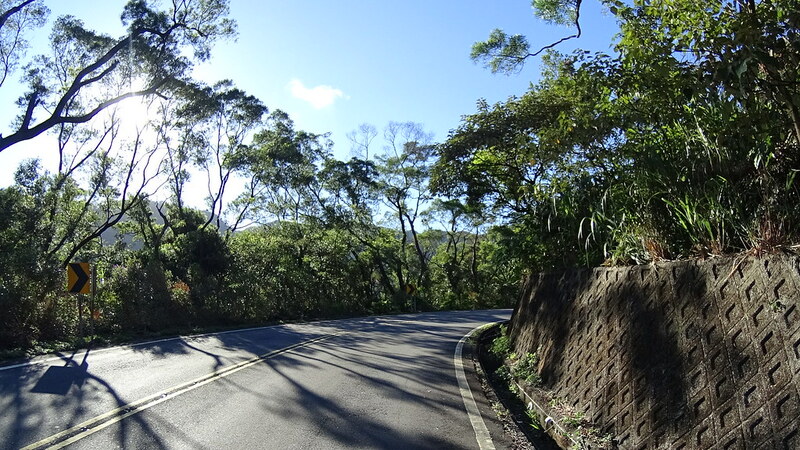 Now as the weekend weather would be nice and I’m traveling next week, I decided to do what I used to do in the US: one -day drive-ride combination. 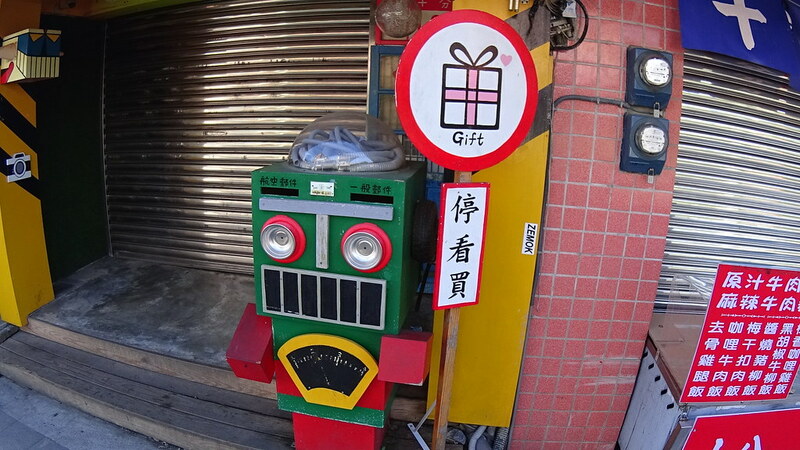 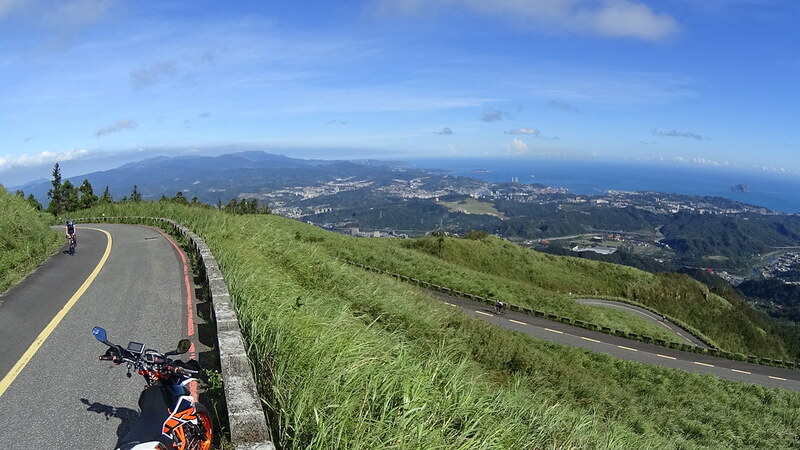 So I wake up at 4:30am and drive 2.5 hours to Taipei ready for a ride. 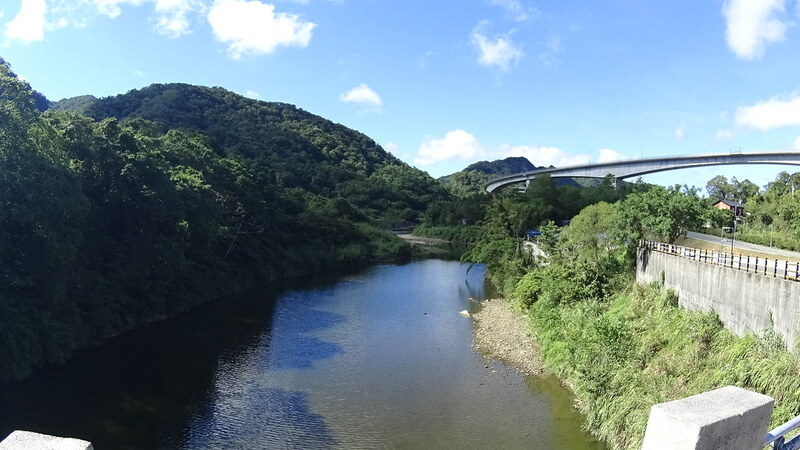 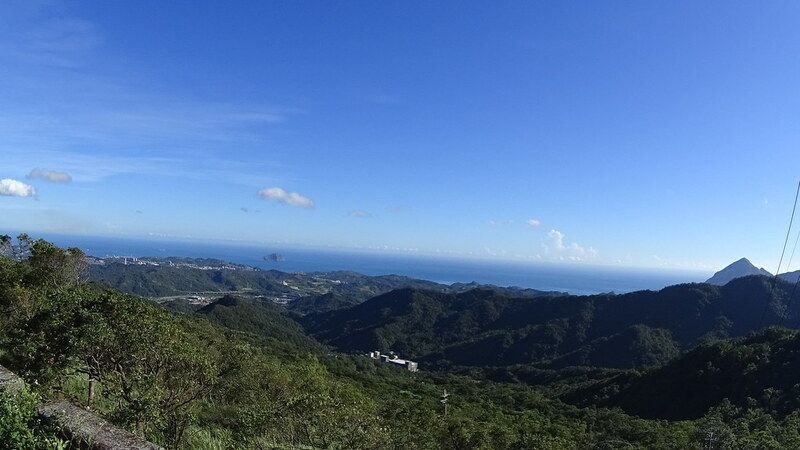 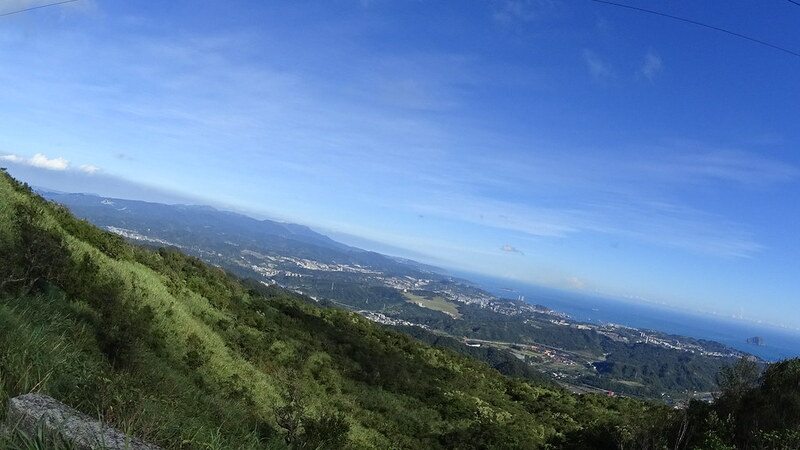 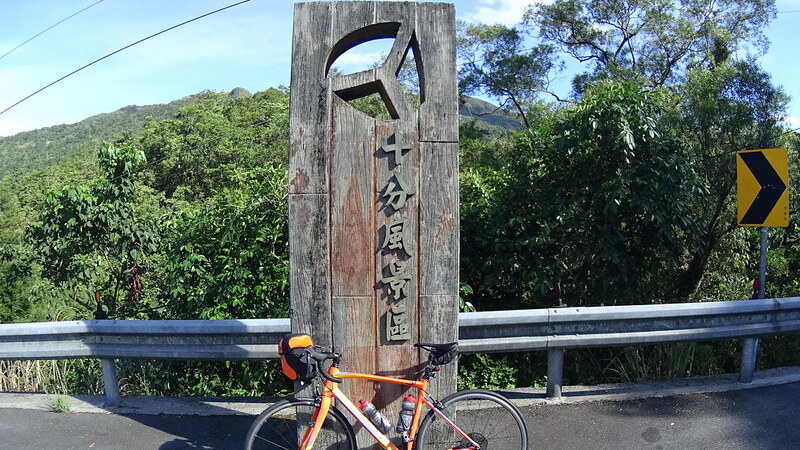 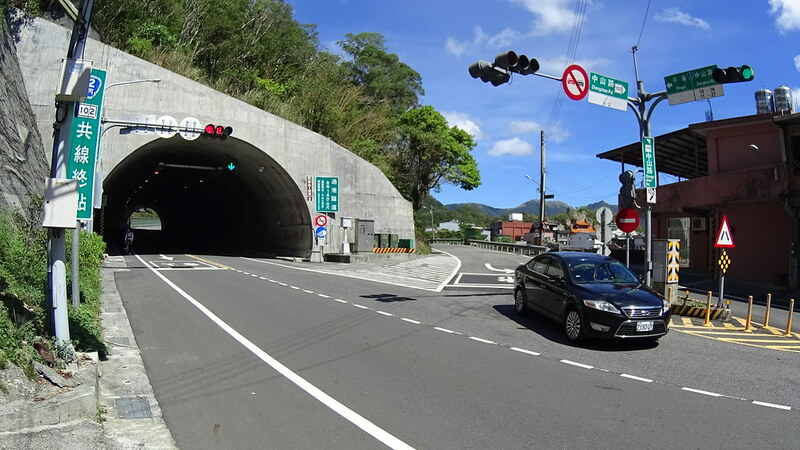 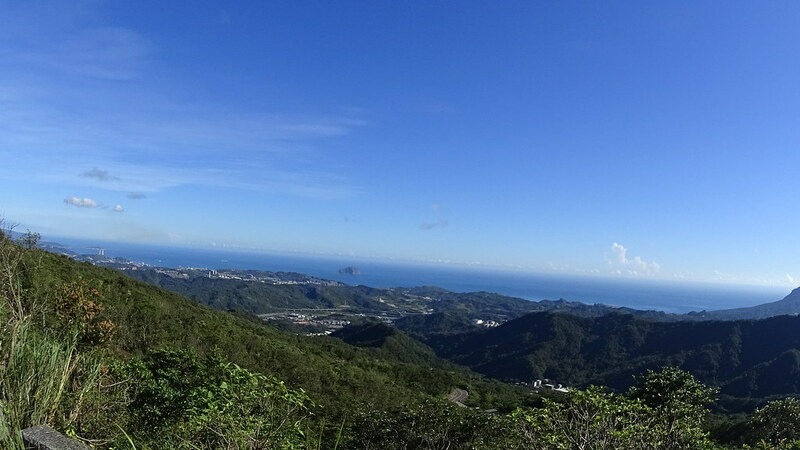 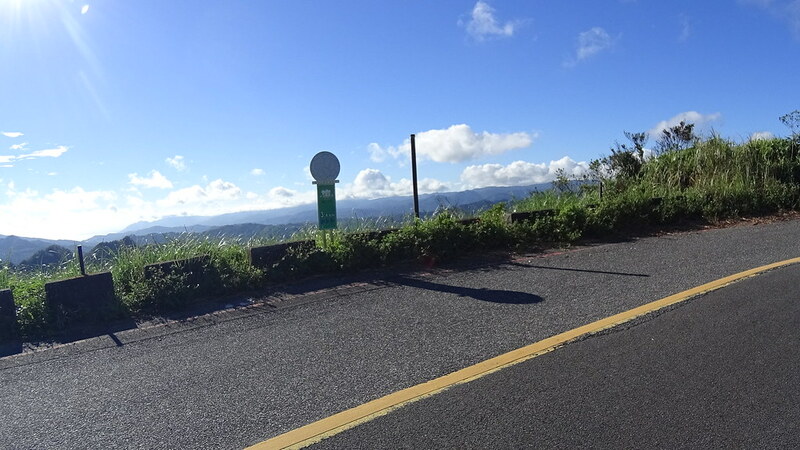 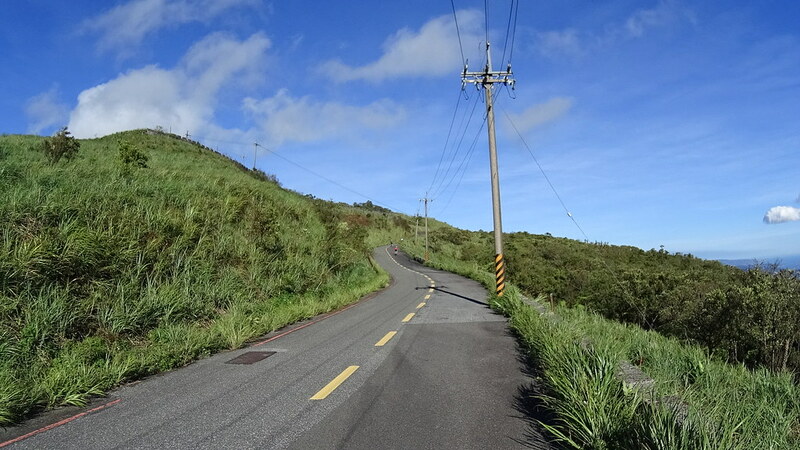 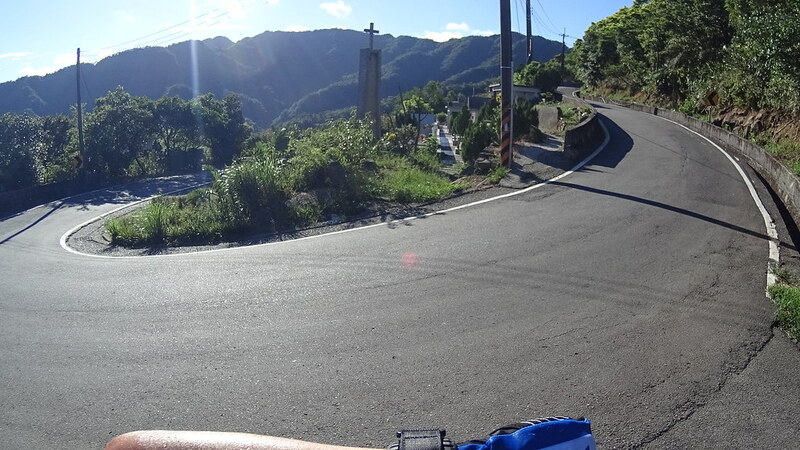 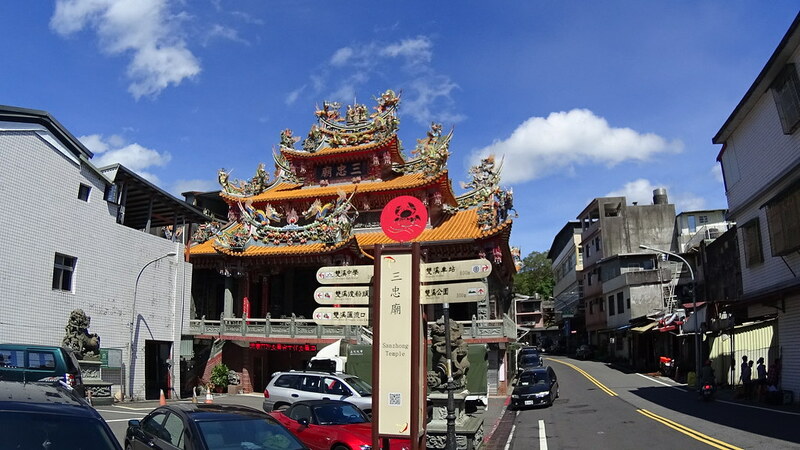 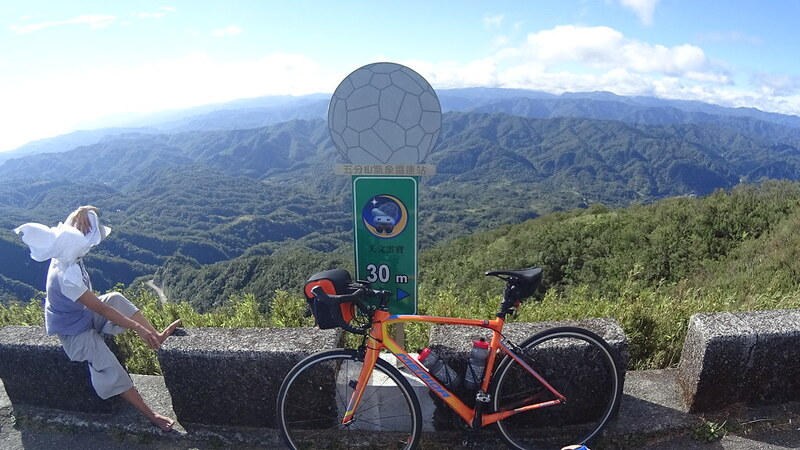 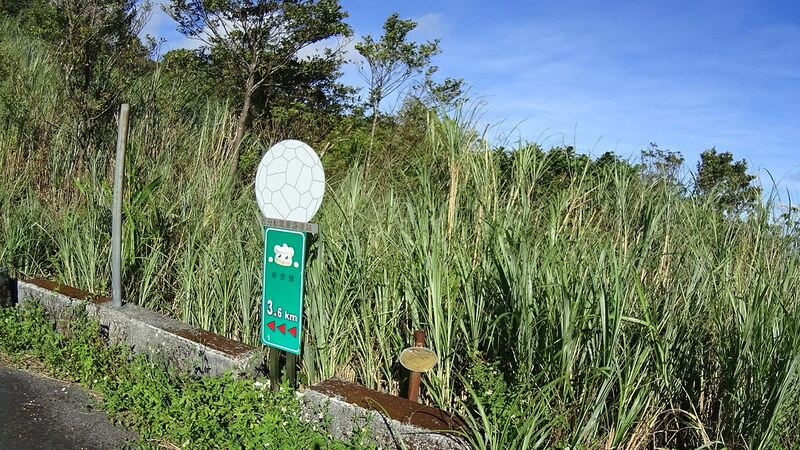 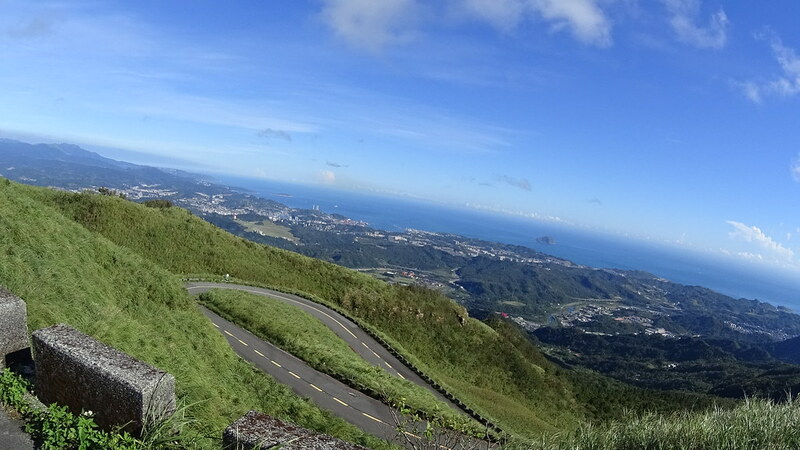 In this North East Taiwan Mountain Coastal Ride I decided to do counter clockwise. 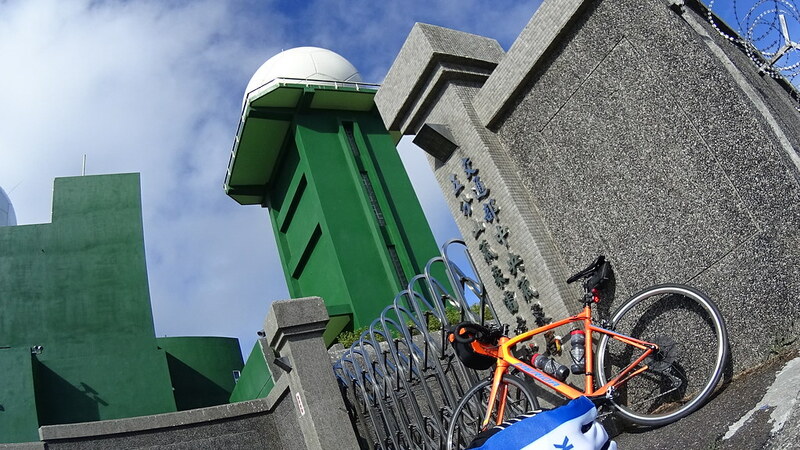 First on #106 with a detour to Radar Station, then headed toward the coastal bike path, then went back through the famous cat village. 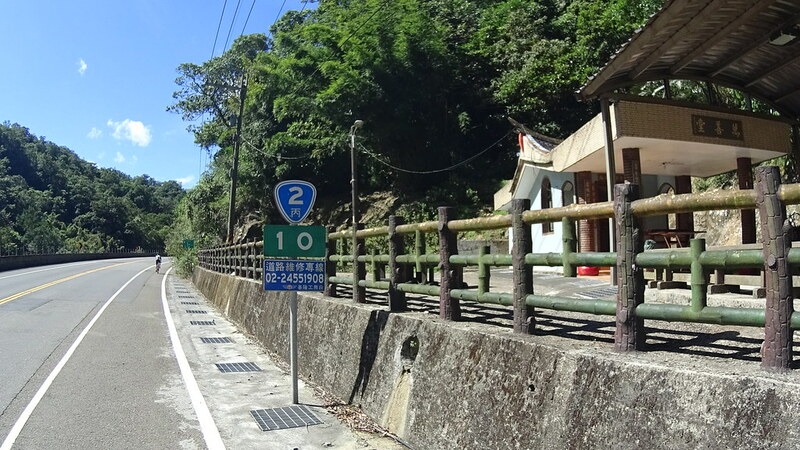 We began our ride on the quiet #106. 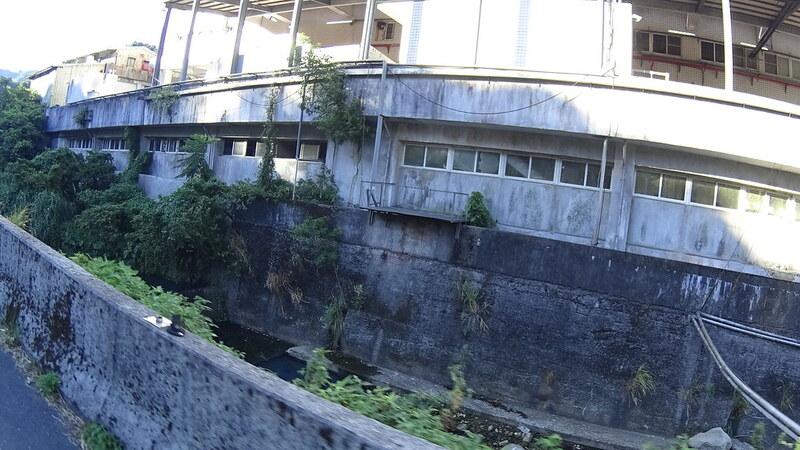 Some sort of industrial area. 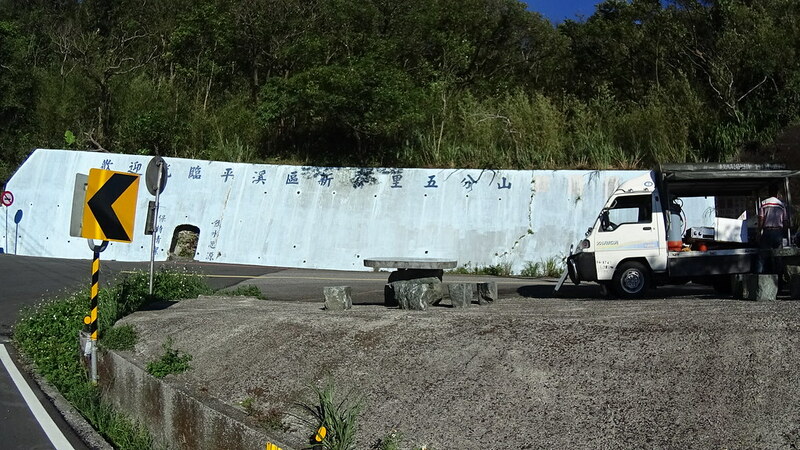 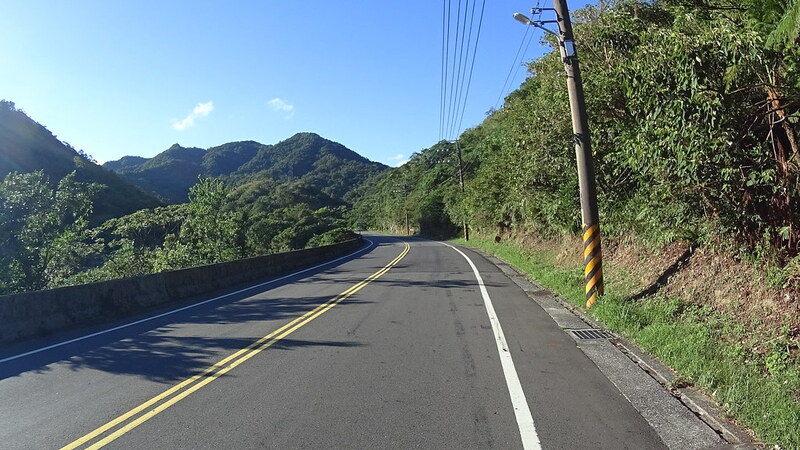 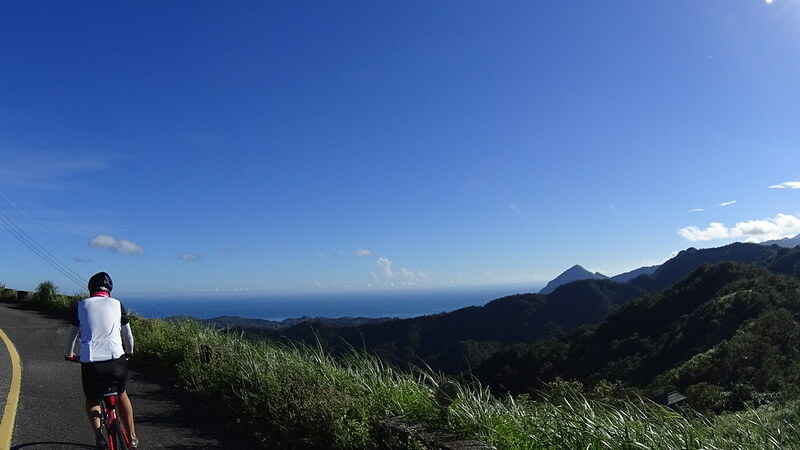 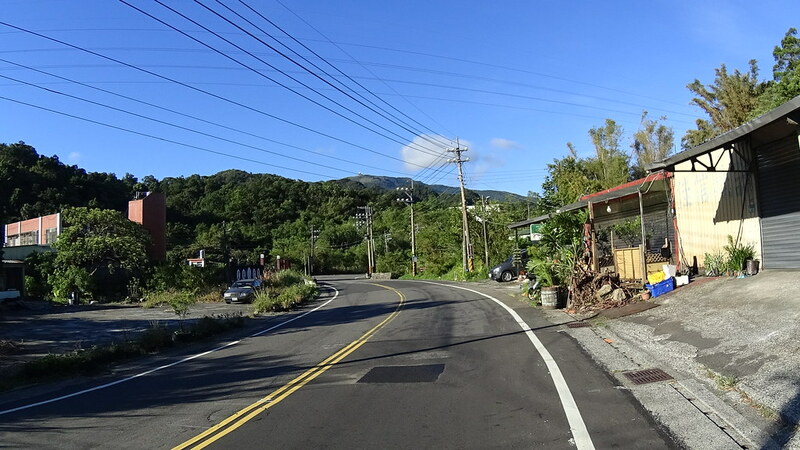 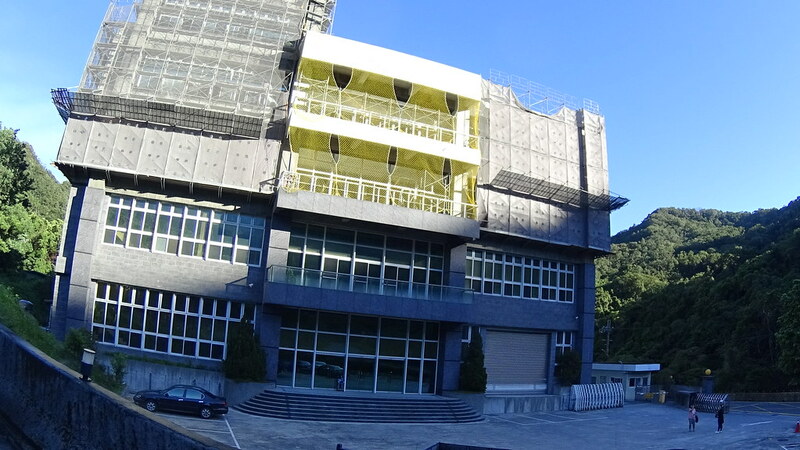 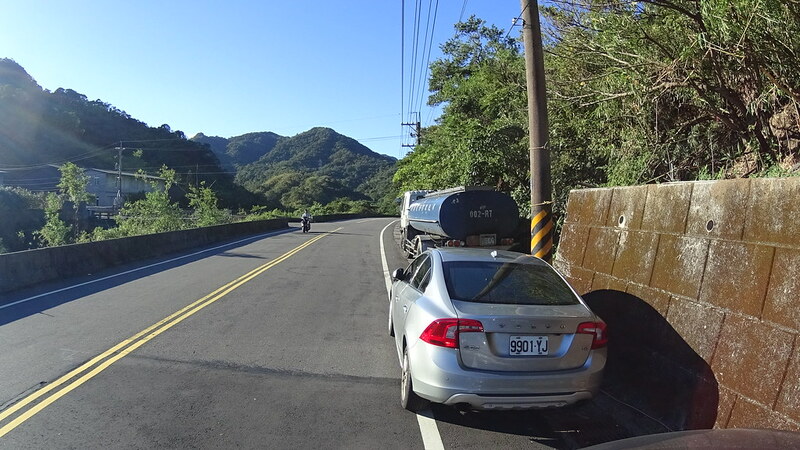 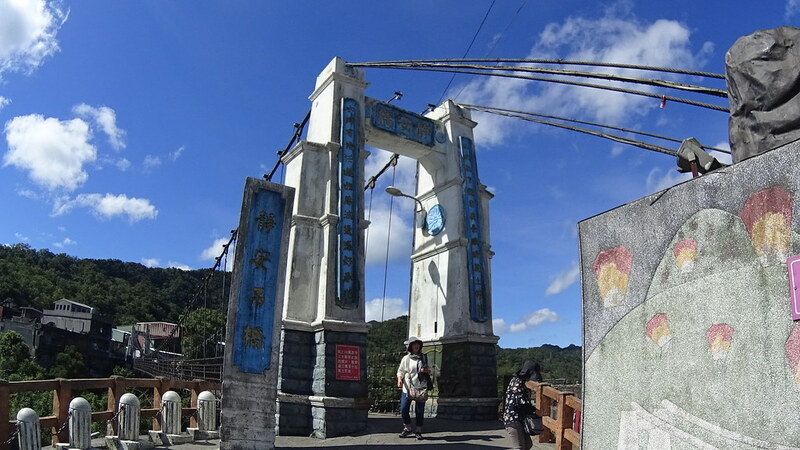 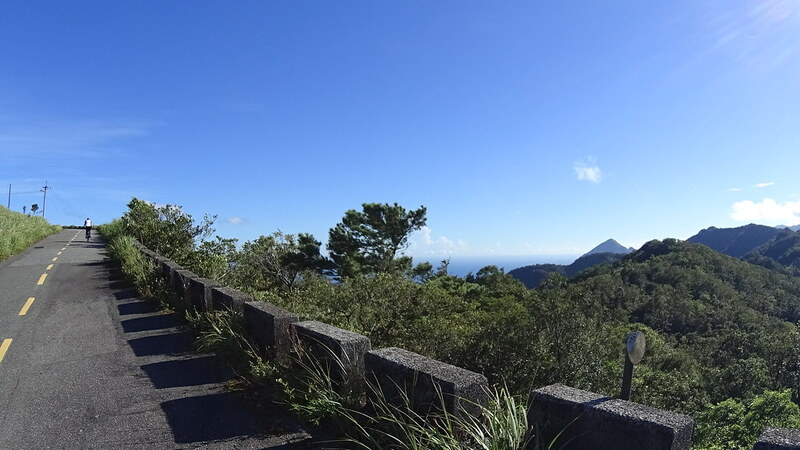 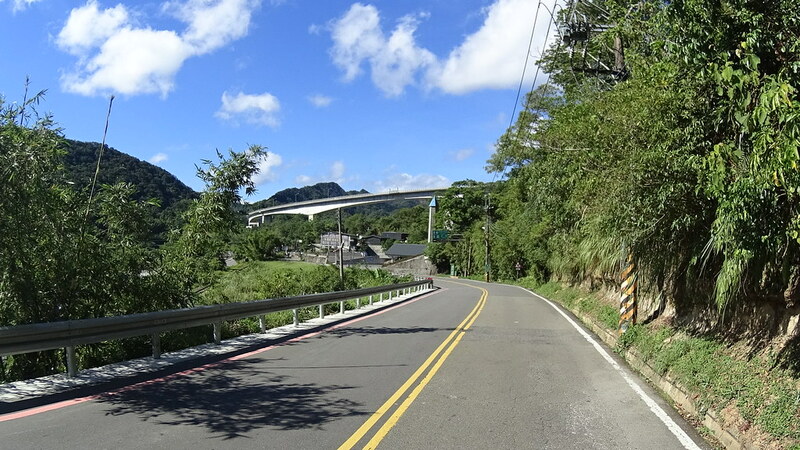 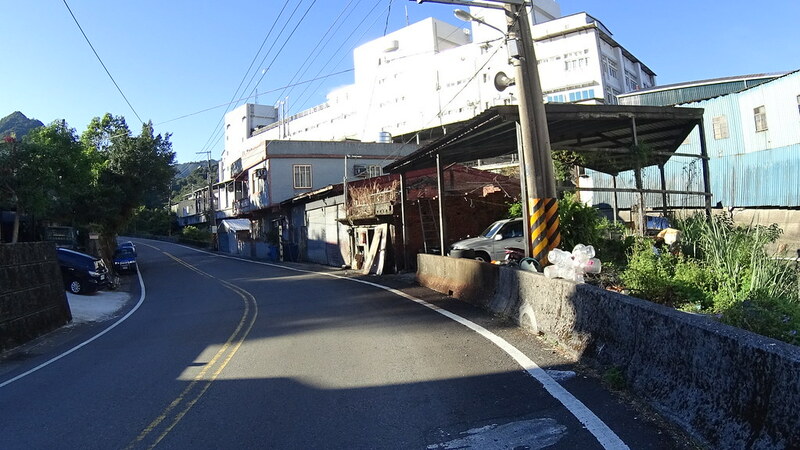 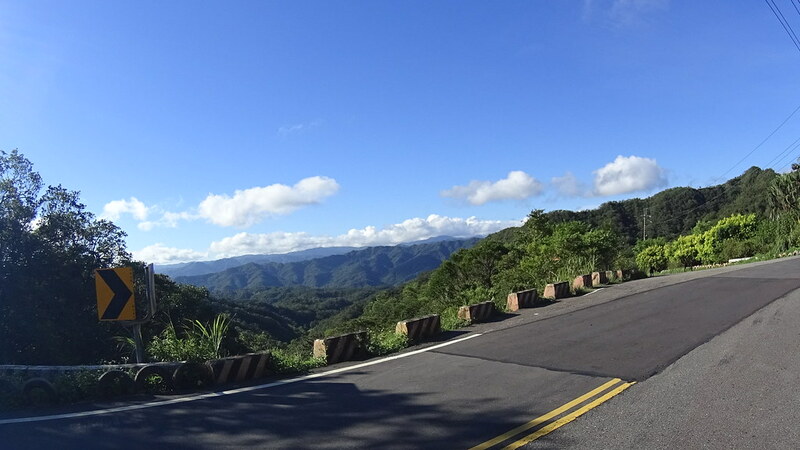 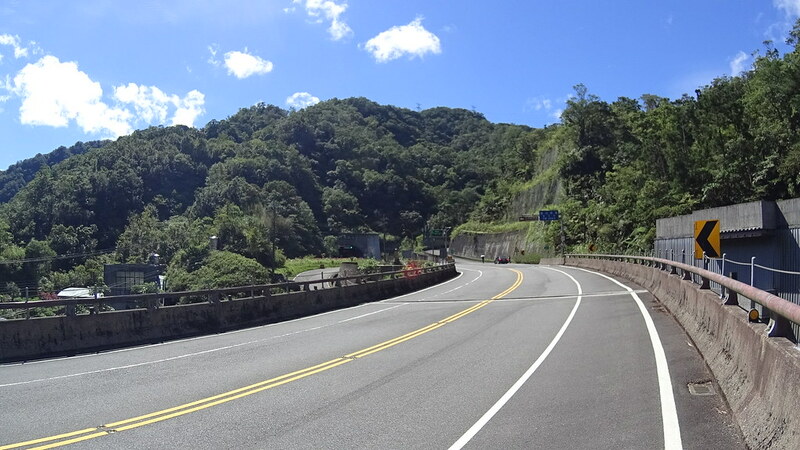 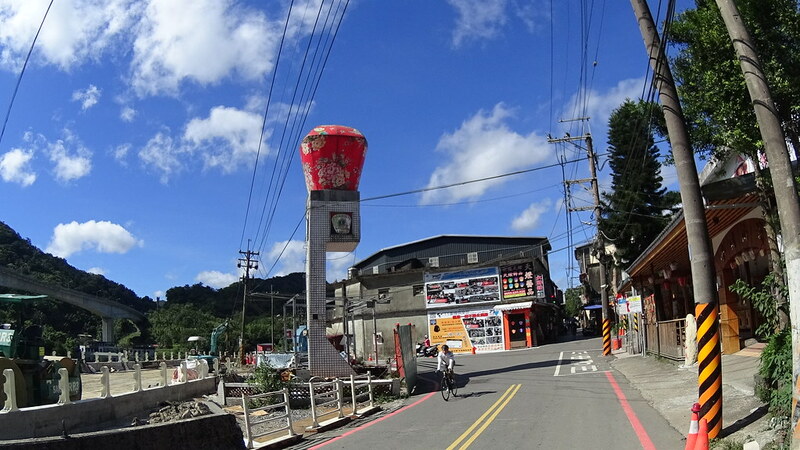 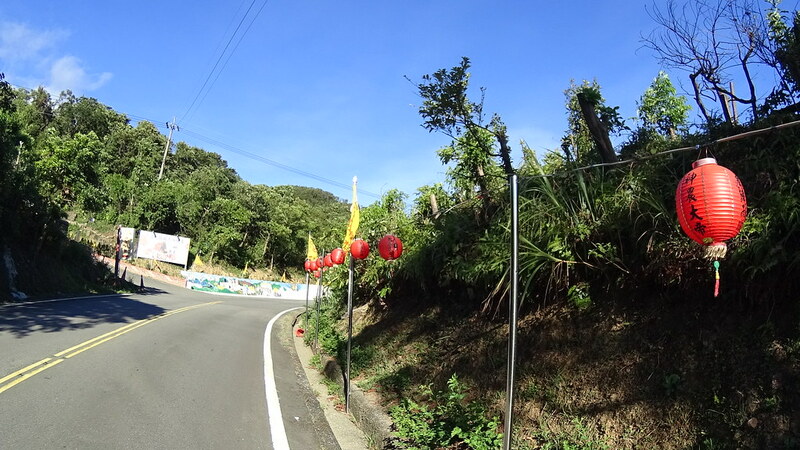 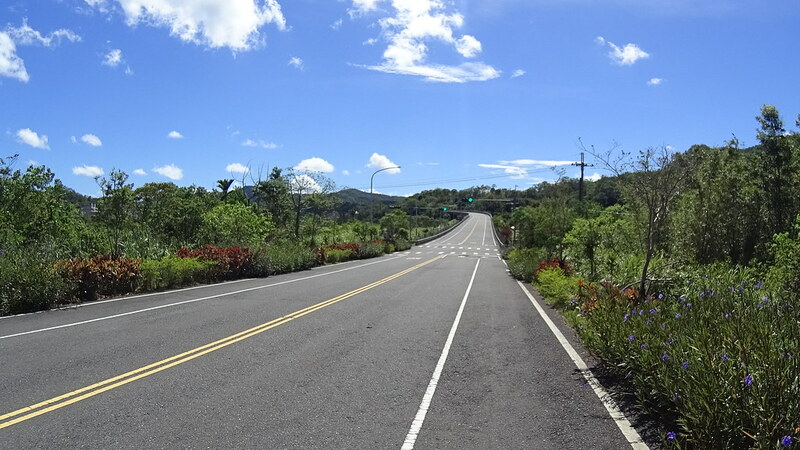 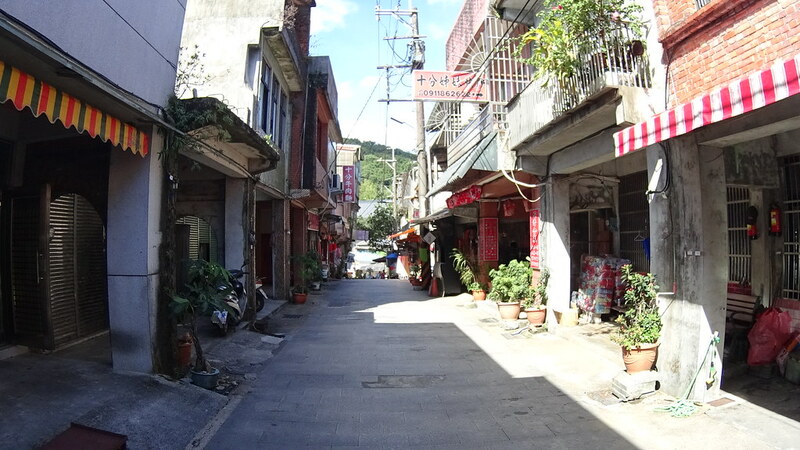 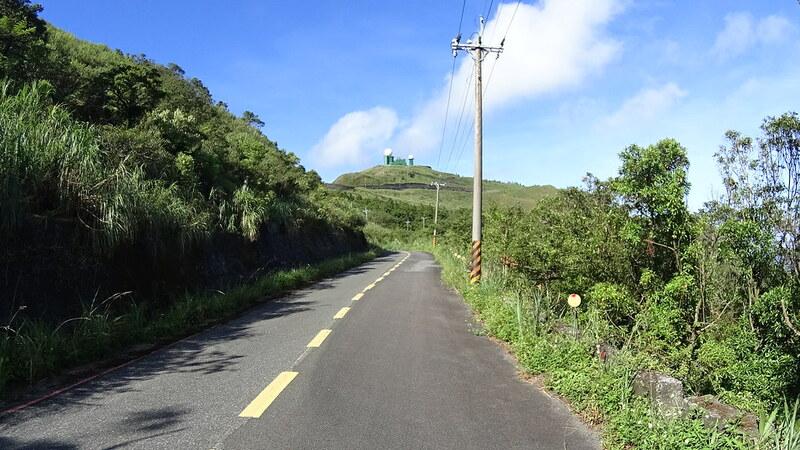 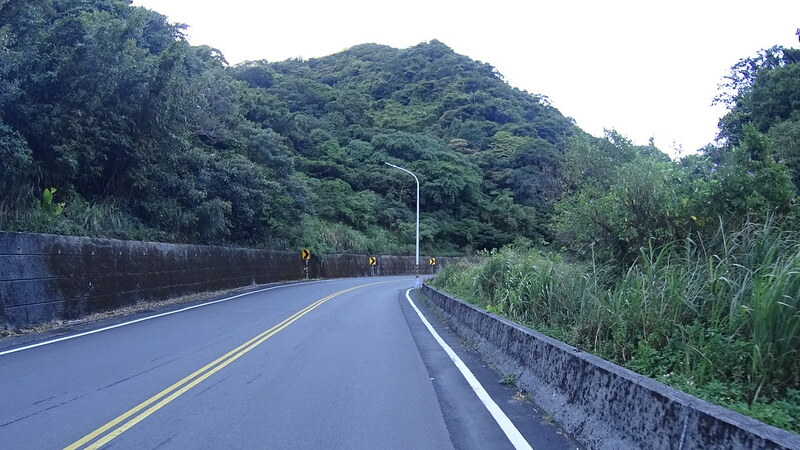 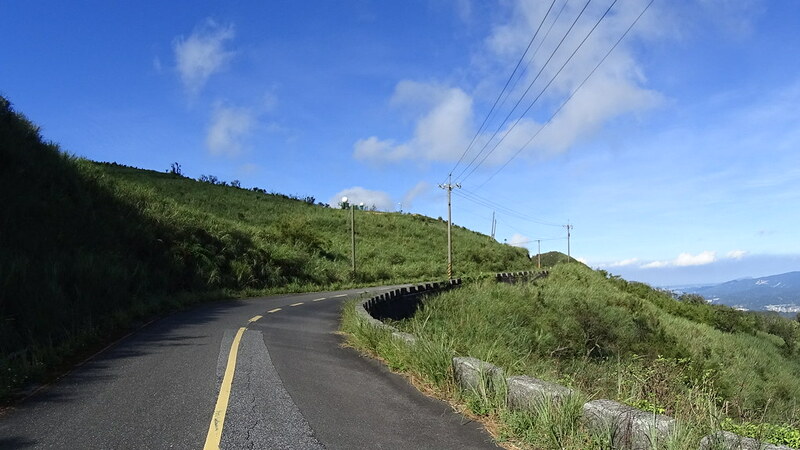 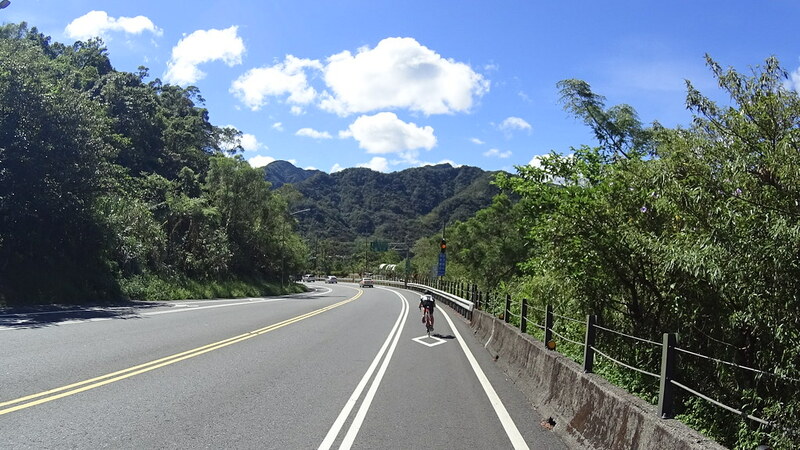 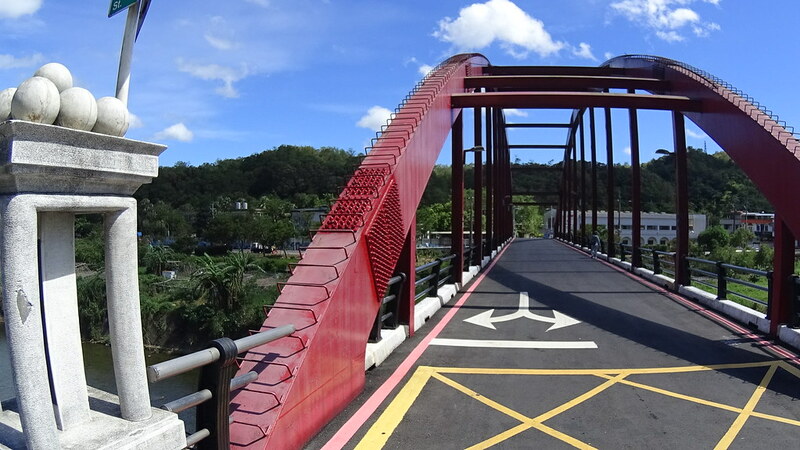 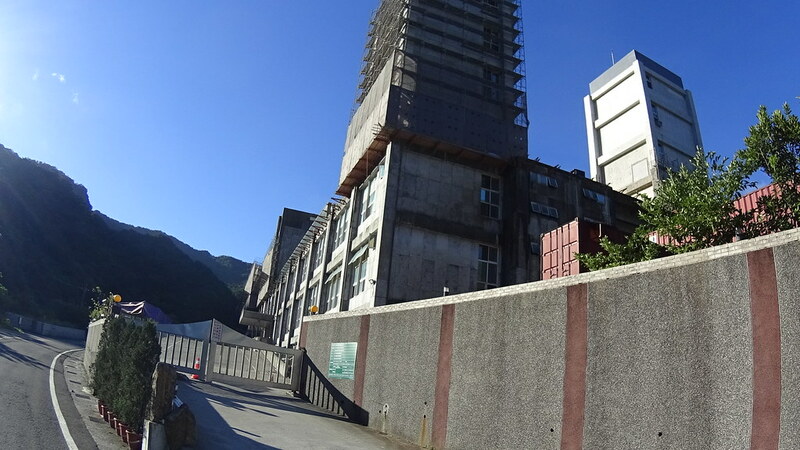 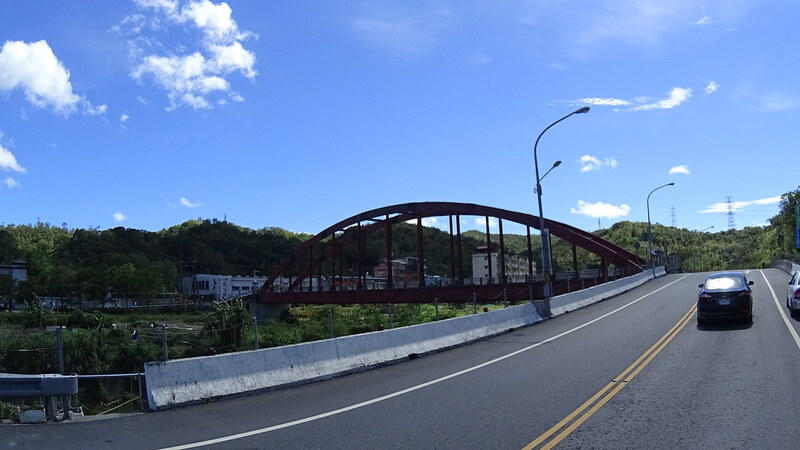 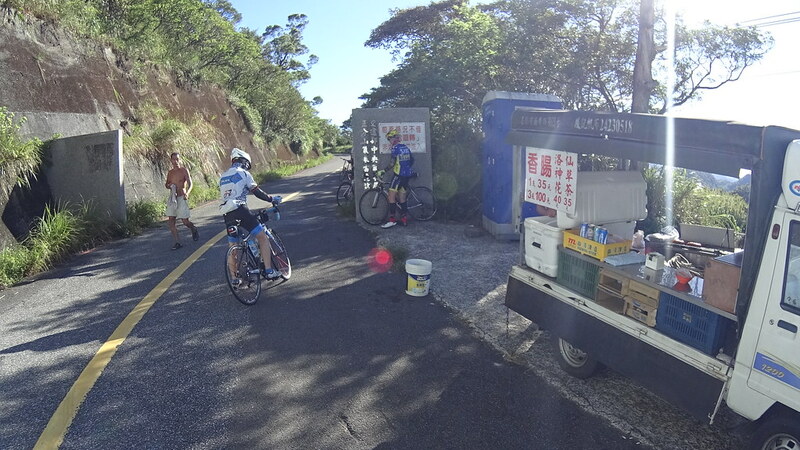 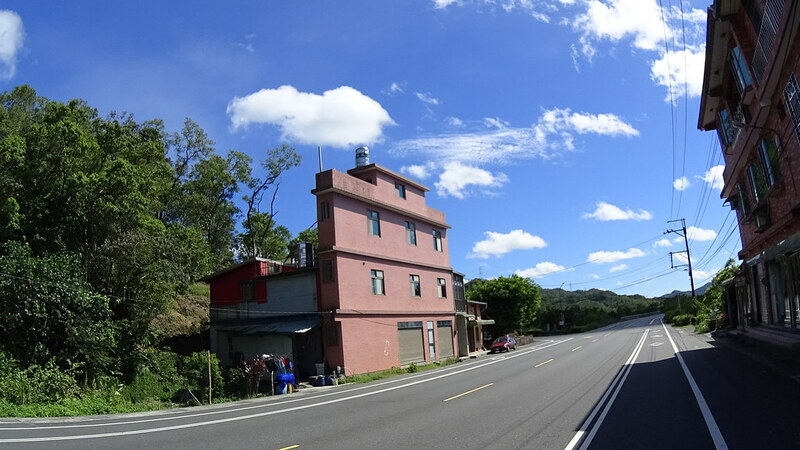 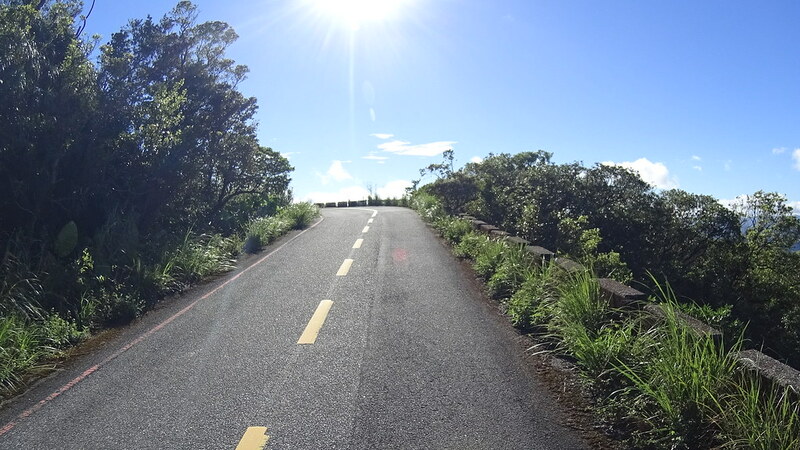 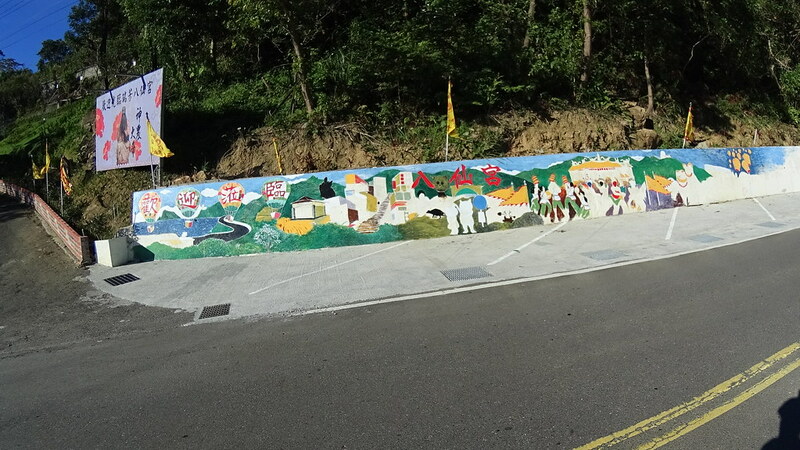 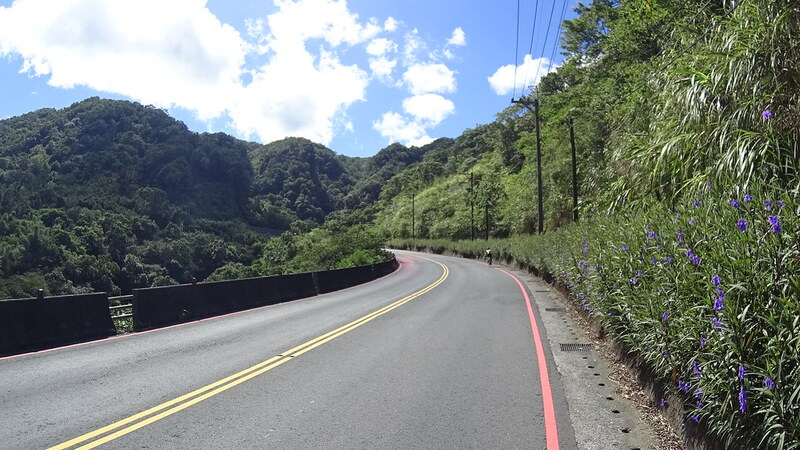 At the middle of #106 was a climbing detour of our North East Taiwan Mountain Coastal Ride. 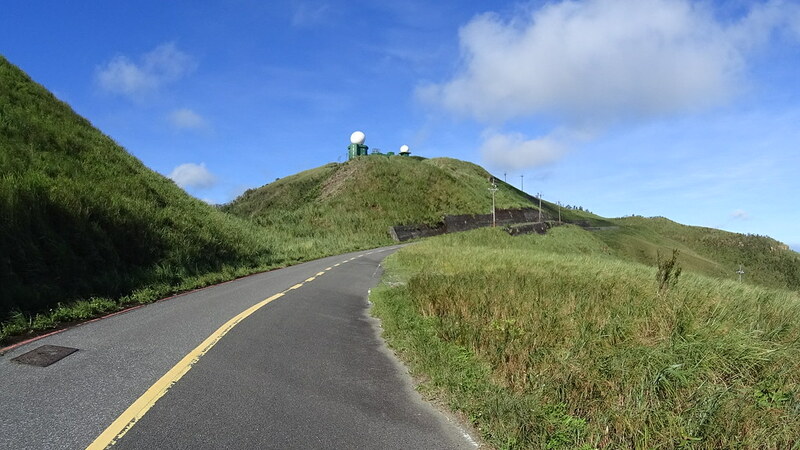 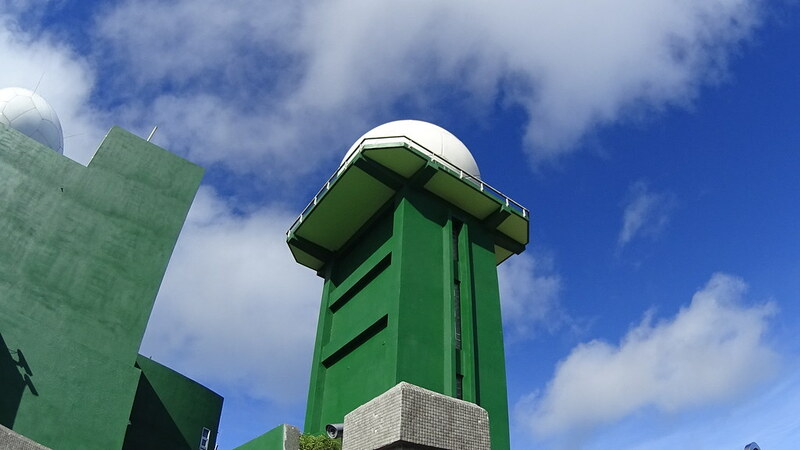 It was a long gradual climb where the top was a weather radar station. 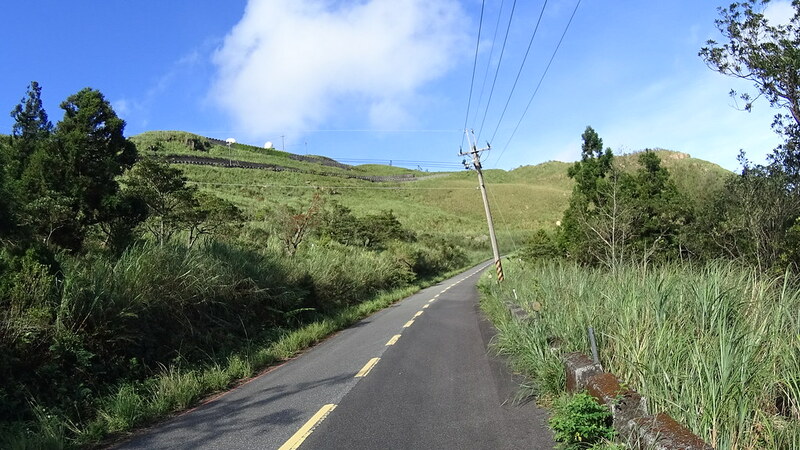 The side road toward the radar station. 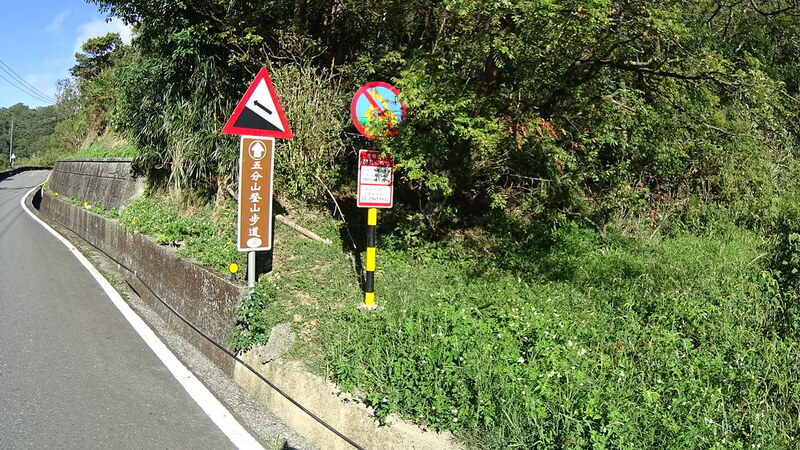 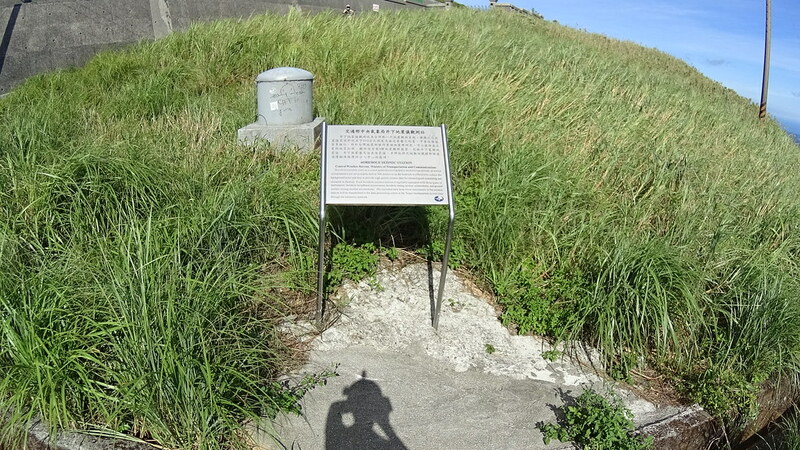 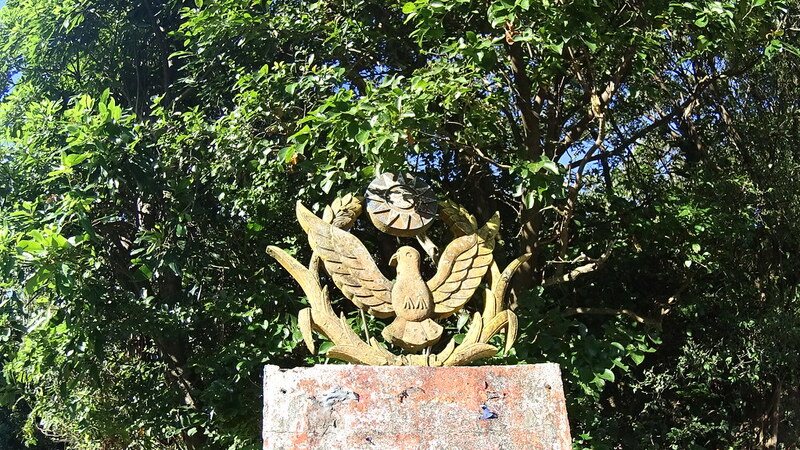 Signs showing remaining distance to the top. 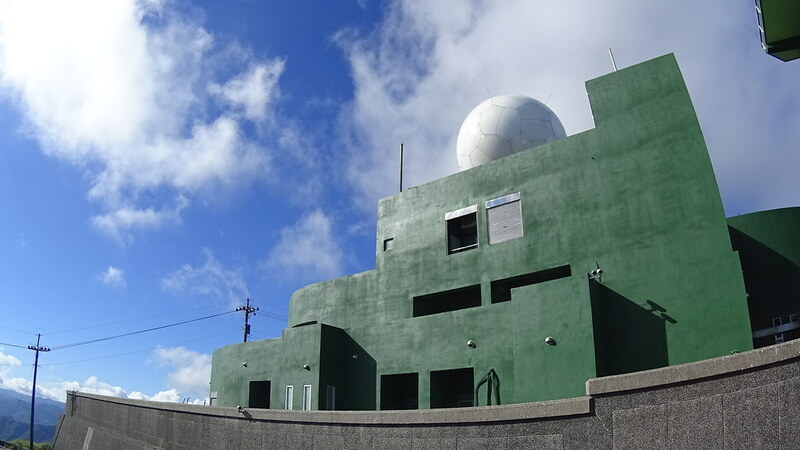 And there was the radar station! 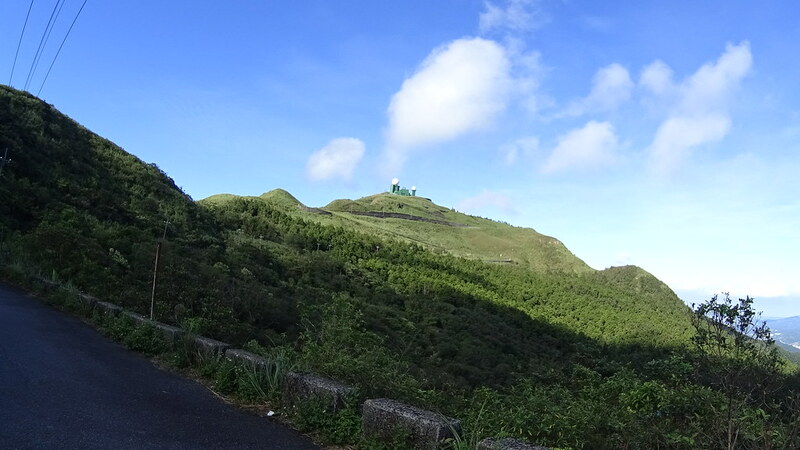 And soon we reached the top! 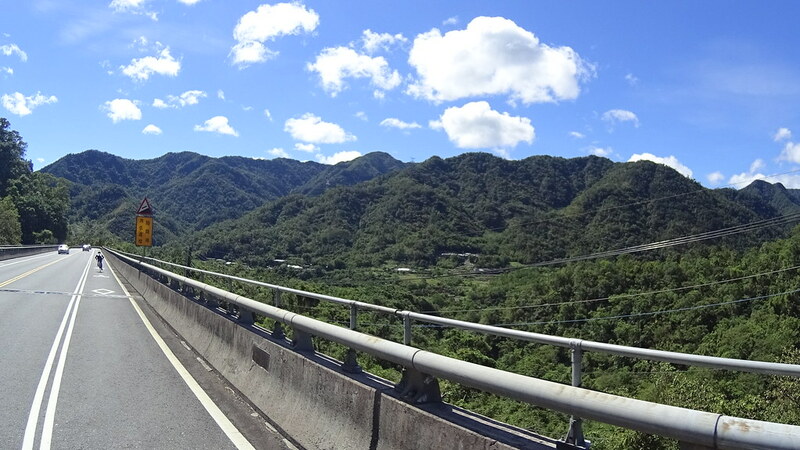 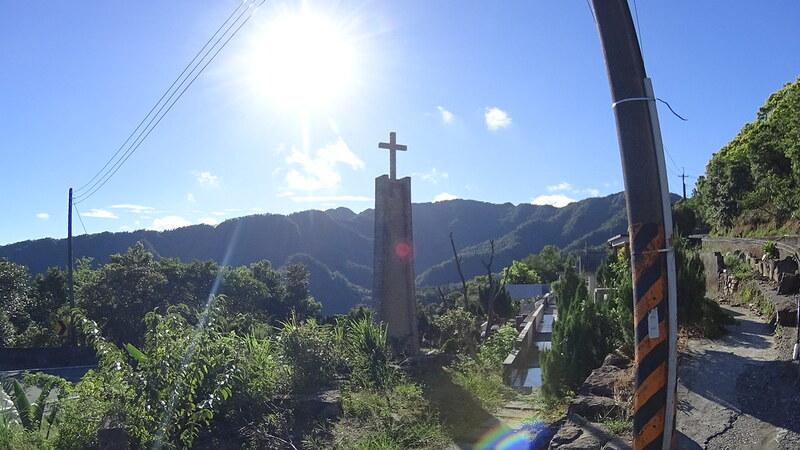 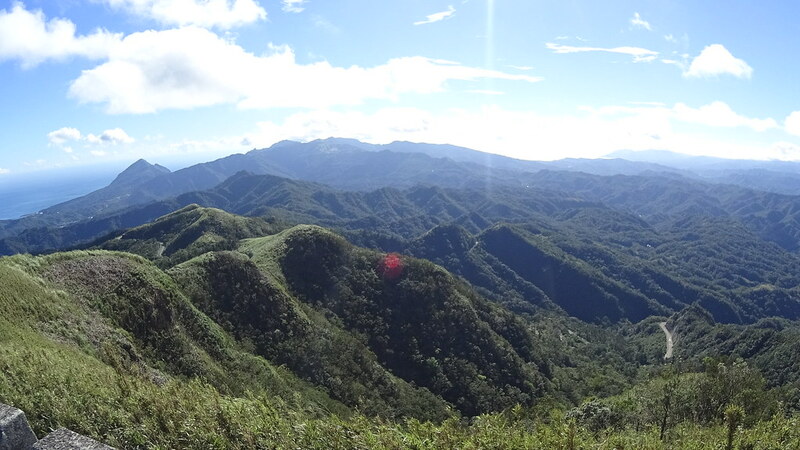 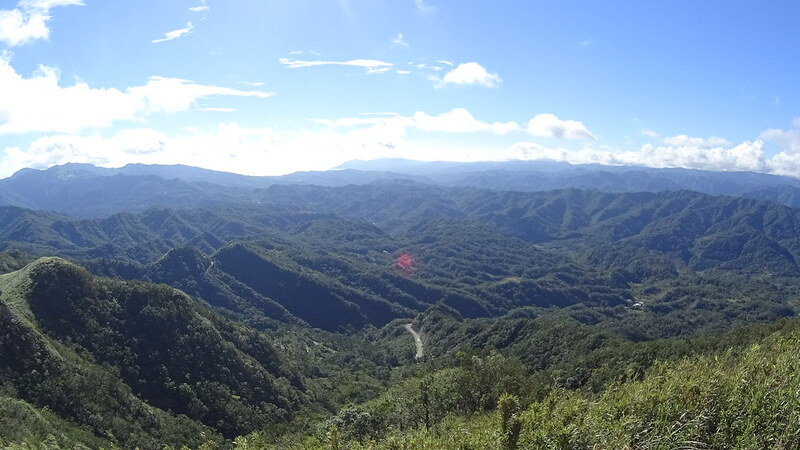 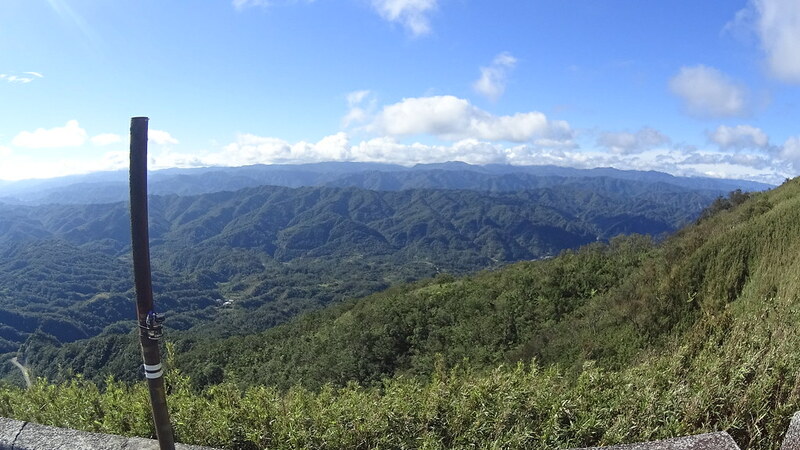 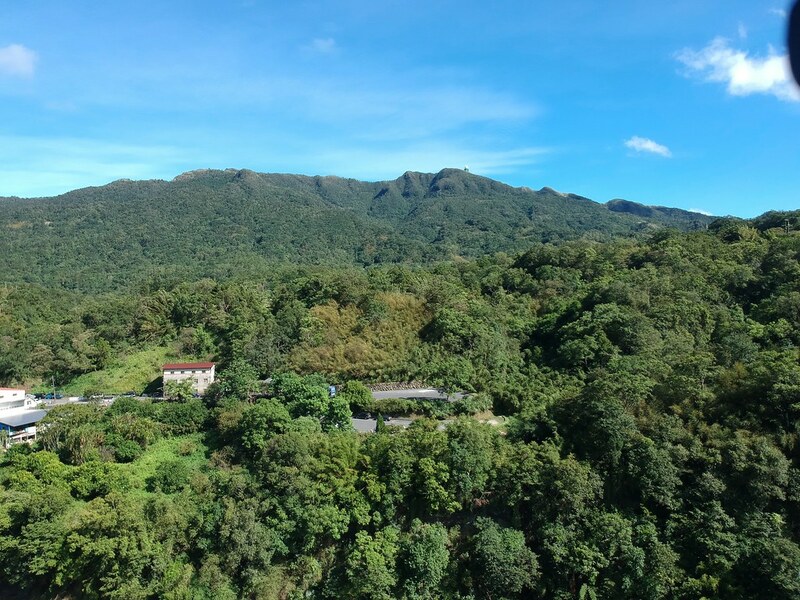 Great north east Taiwan mountains. 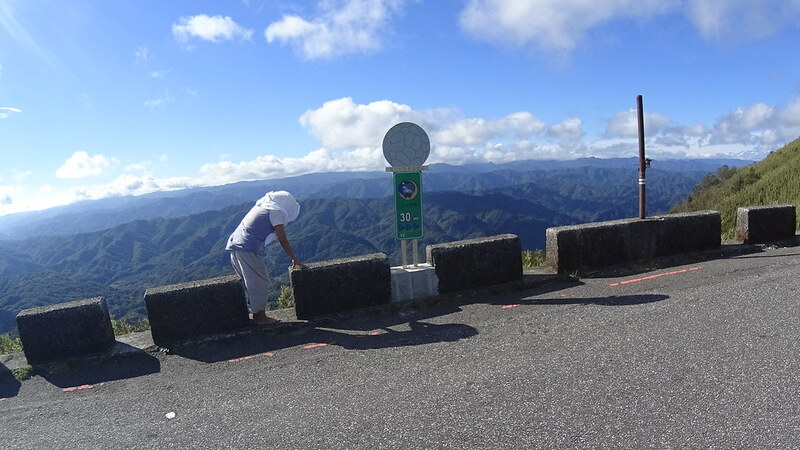 Having enough of the views, we were ready to do the fun descend! 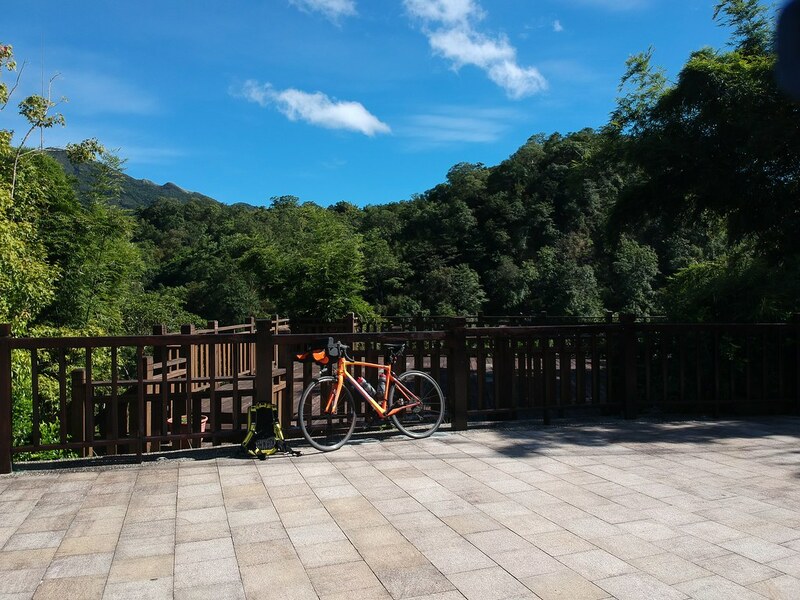 After descending from the Radar Mountain we continued on #106 and reach the 2nd stop of our North East Taiwan Mountain Coastal Ride: ShiFen 十分。Here there was a cool waterfall to check out. 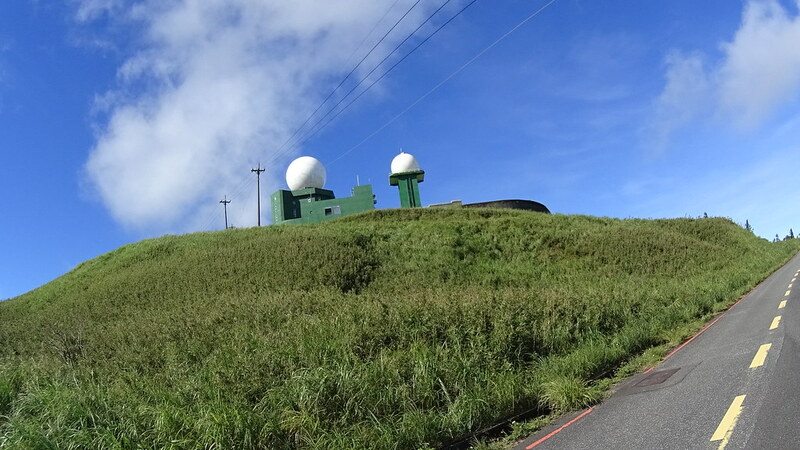 You could barely see the radar station here as well! 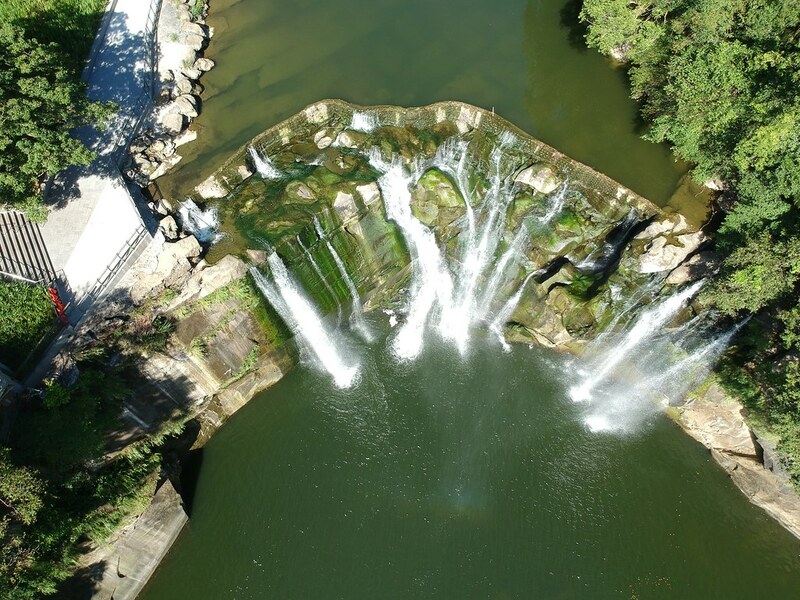 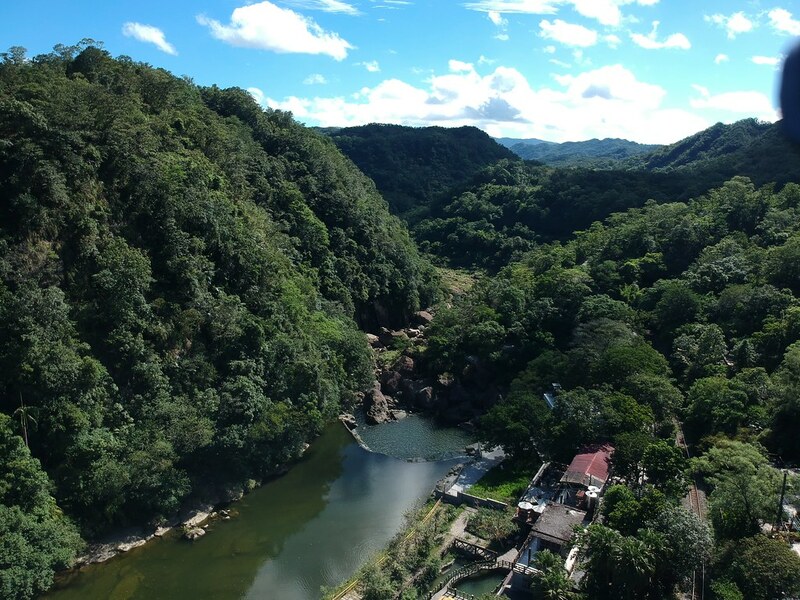 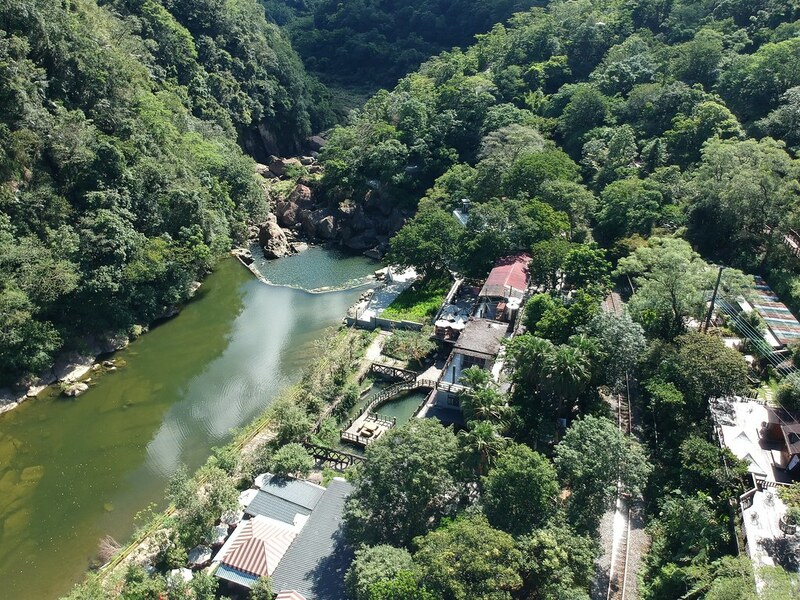 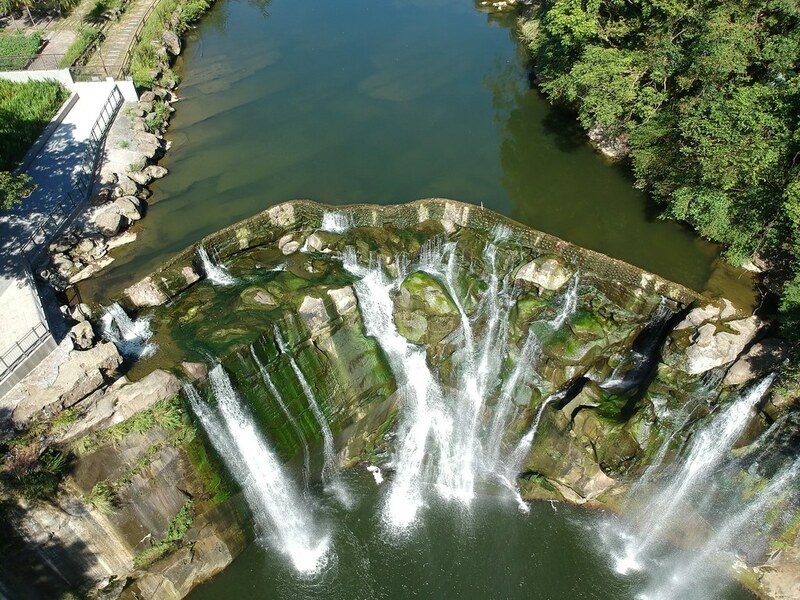 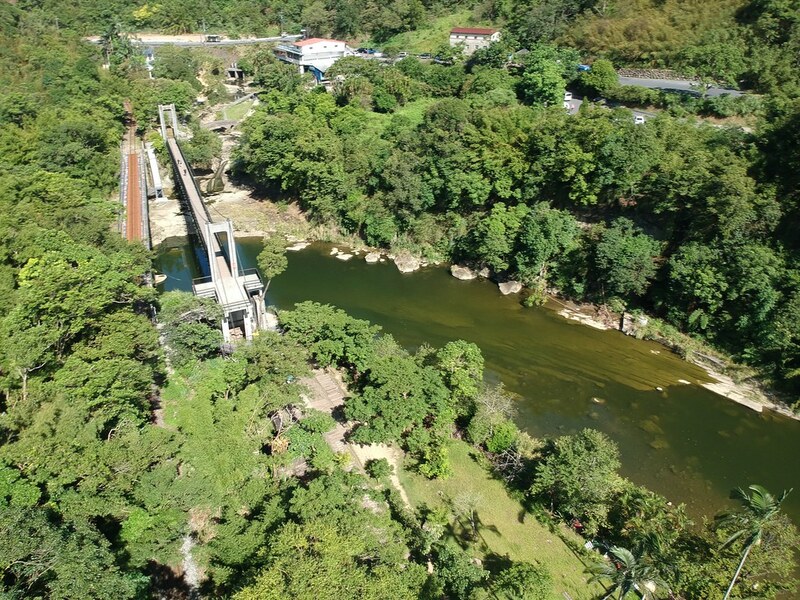 As the waterfall is accessible only by foot, it’s time to take out my drone and did some flying and aero shots! 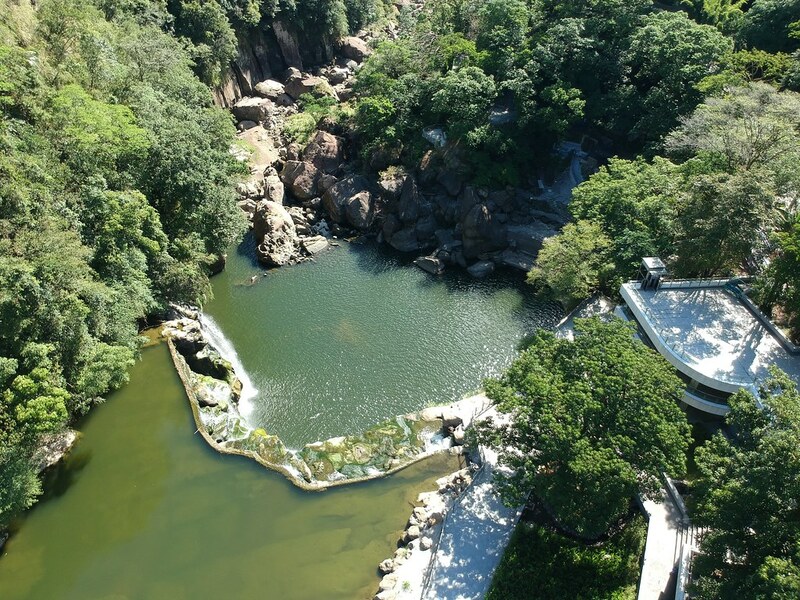 Could you guess where was the waterfall? 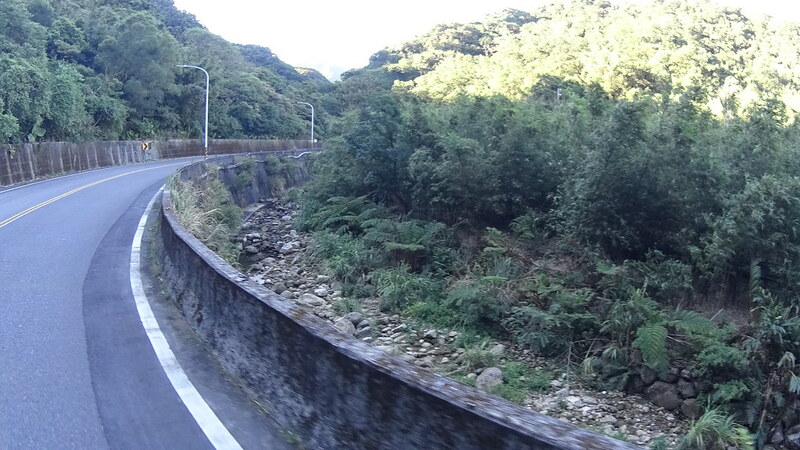 A little 180 turn and we saw the waterfall! 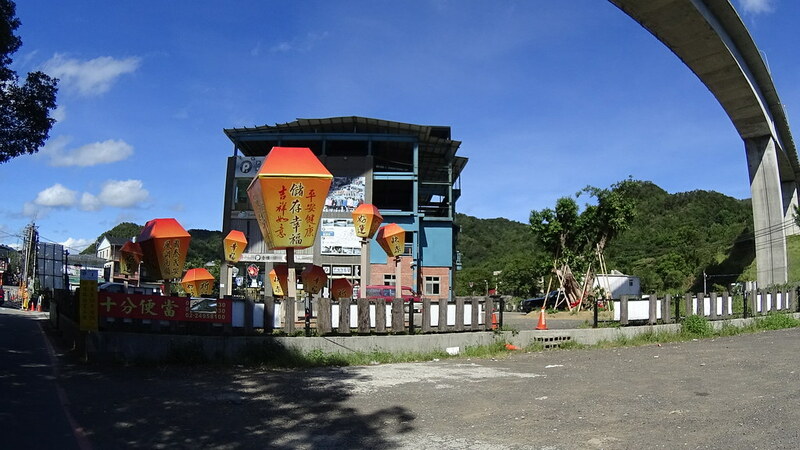 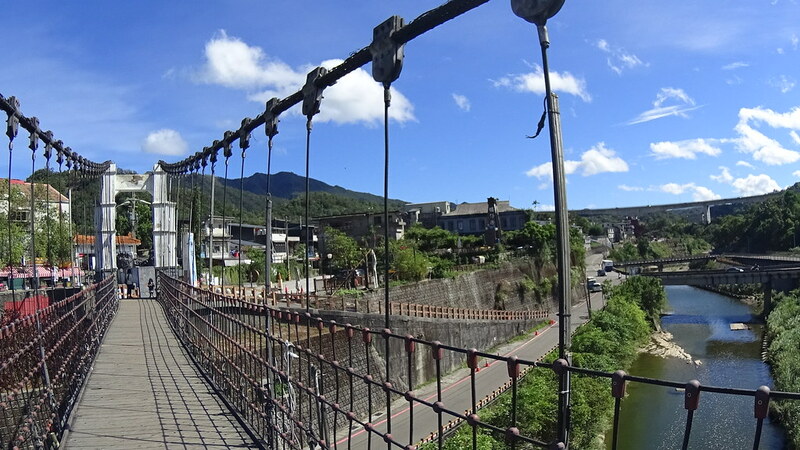 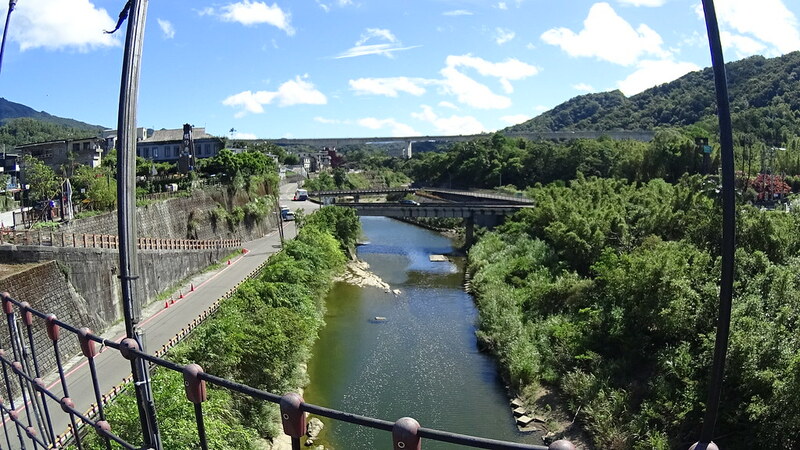 Having some nice shots of the ShiFen Waterfalls, the next stop of our North East Taiwan Mountain Coastal Ride we went into ShiFen town and took a look. 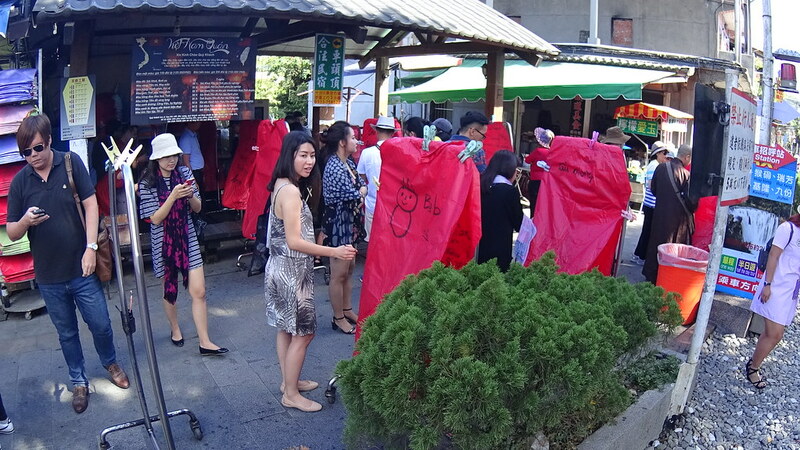 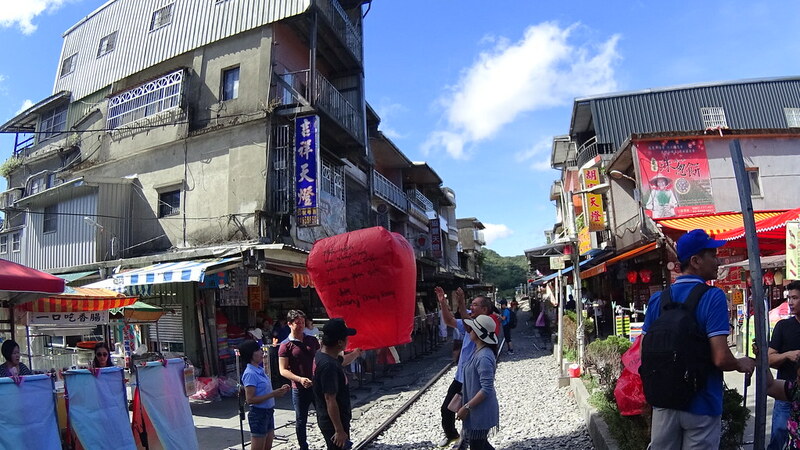 Many sky lantern themed stuff here. 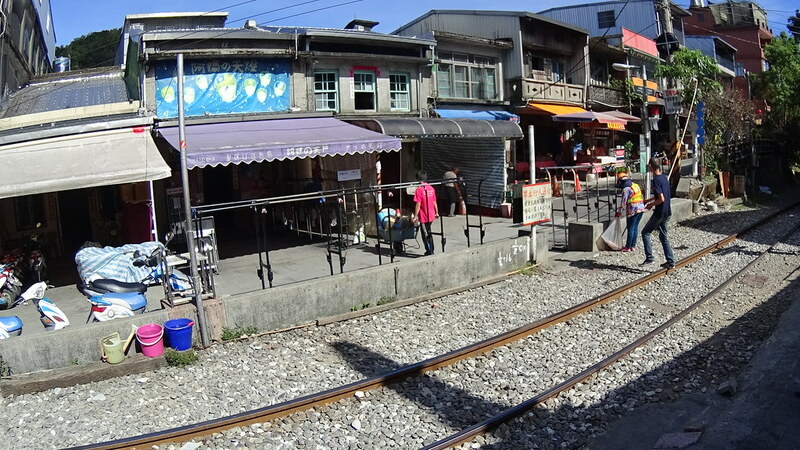 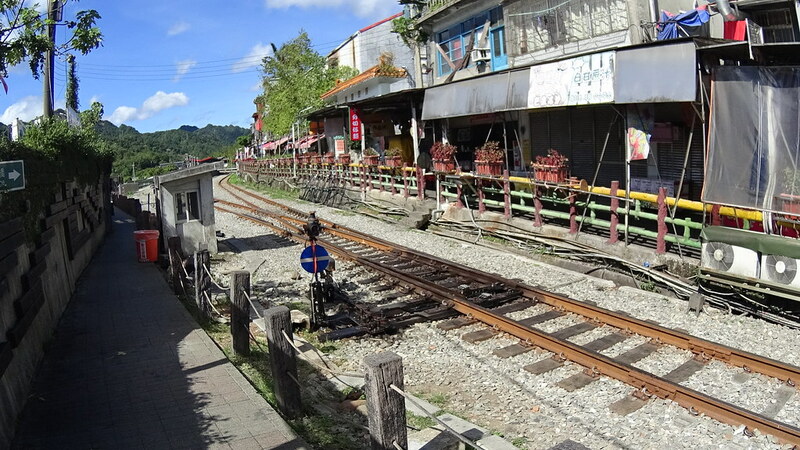 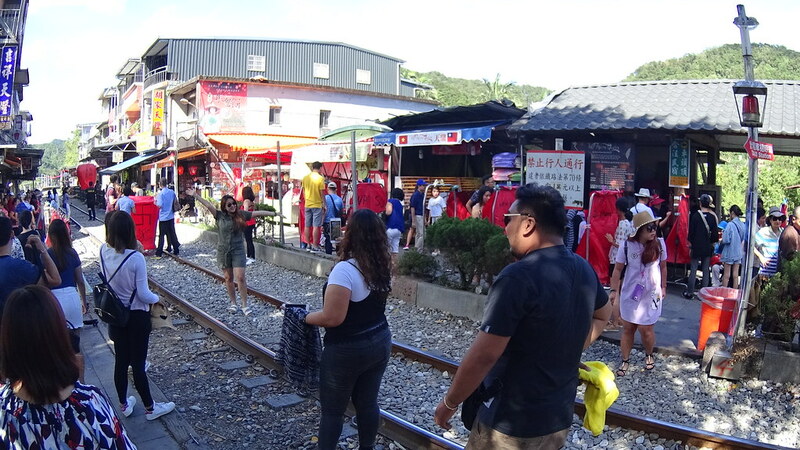 Inside the town was an old rail part now turned into tourist spot. 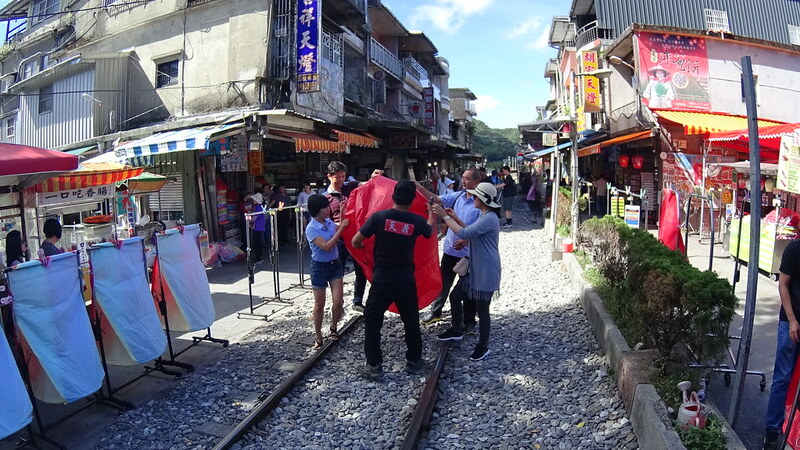 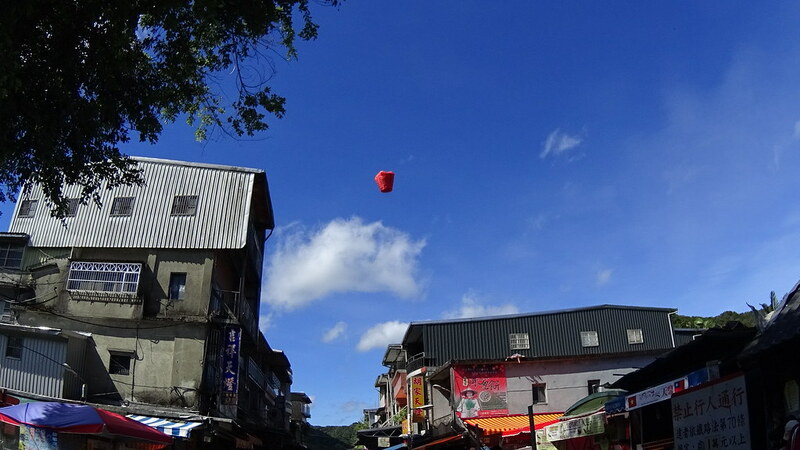 Surprisingly here there were people releasing sky lantern to the sky! 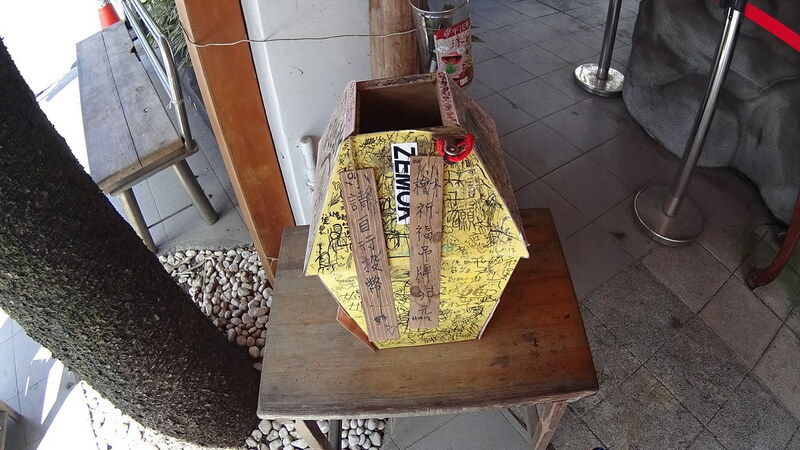 Draw whatever you want on it. 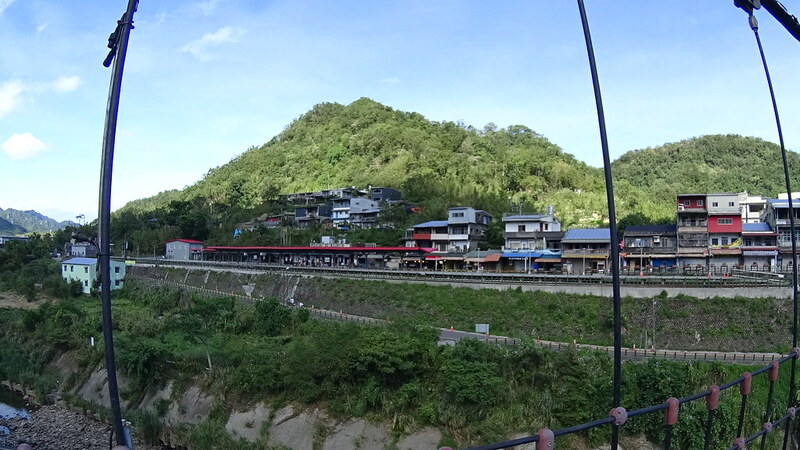 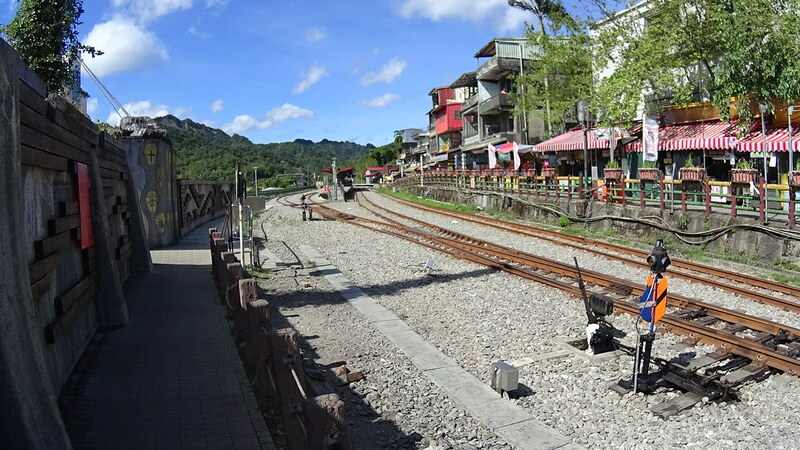 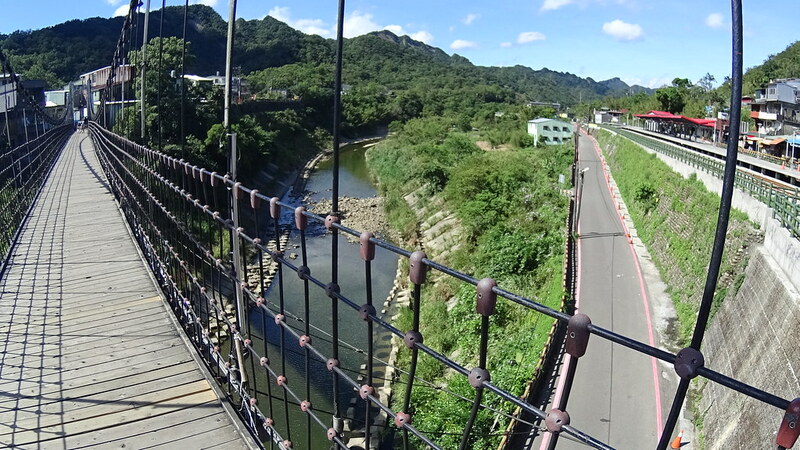 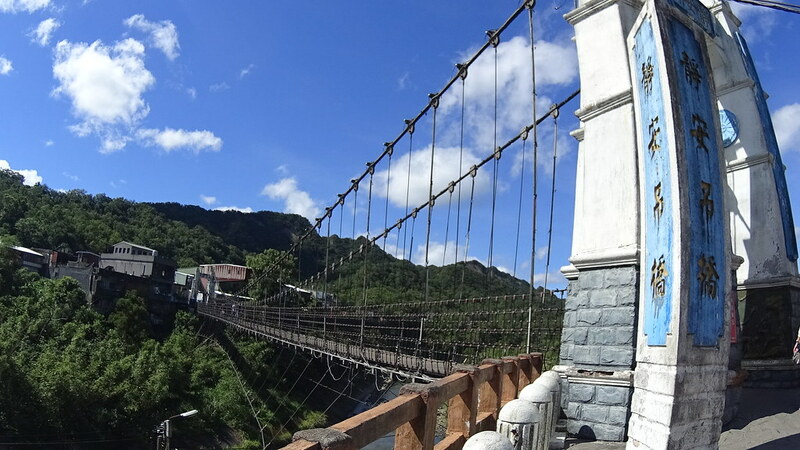 At the side of ShiFen train station there was a suspension bridge to the other river side. 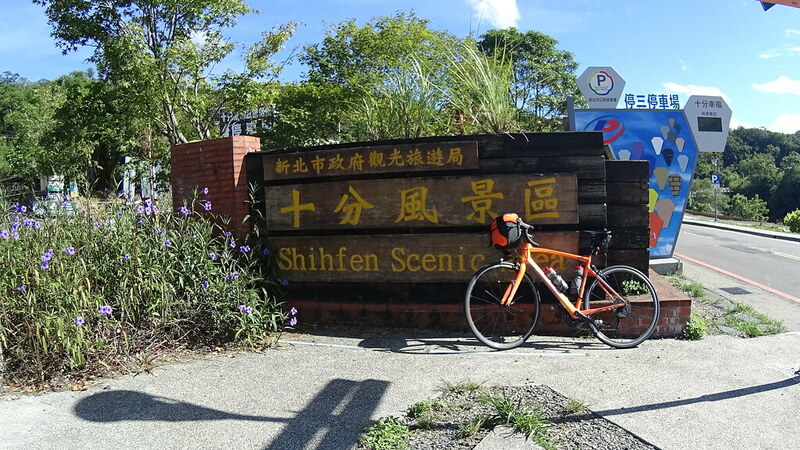 From ShiFen we took State #2 Bin and started toward east, heading for the coastal part of our North East Taiwan Mountain Coastal Ride. 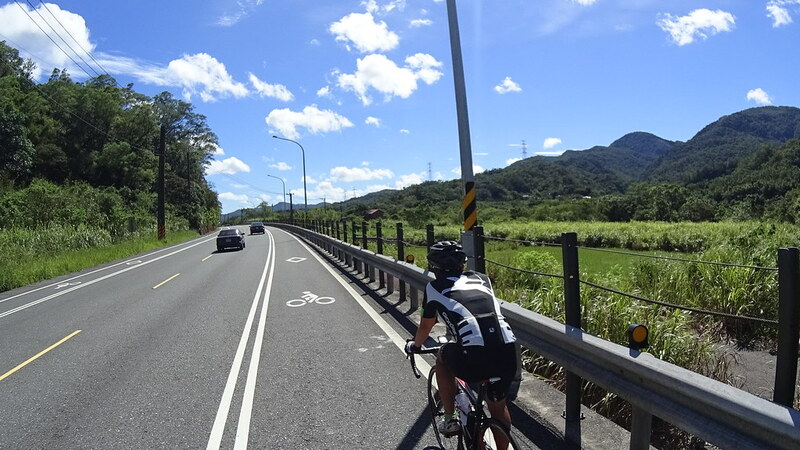 State #2 Bin had bike path on it and riding it was very comfortable. 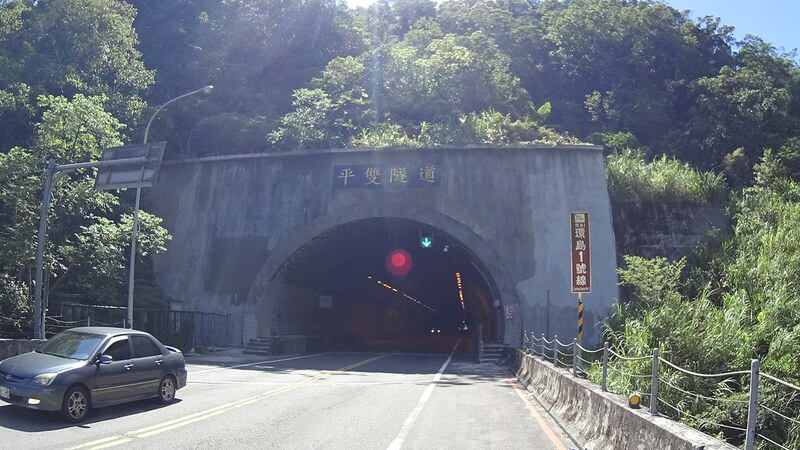 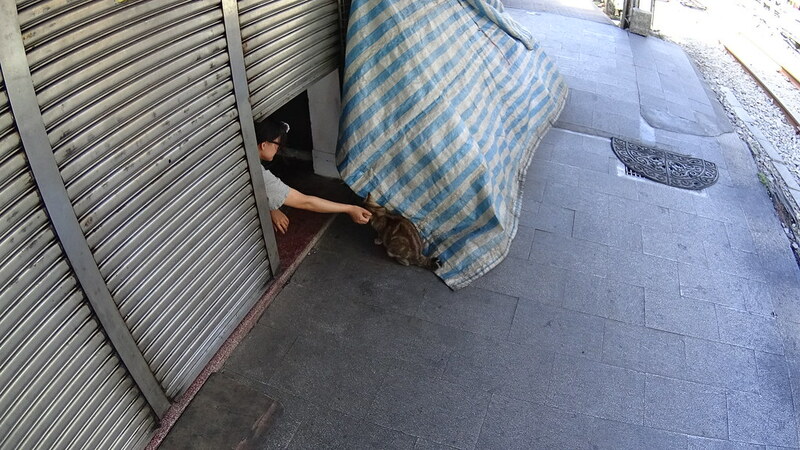 In the middle there was a long tunnel, good for some cooling away from the sun! 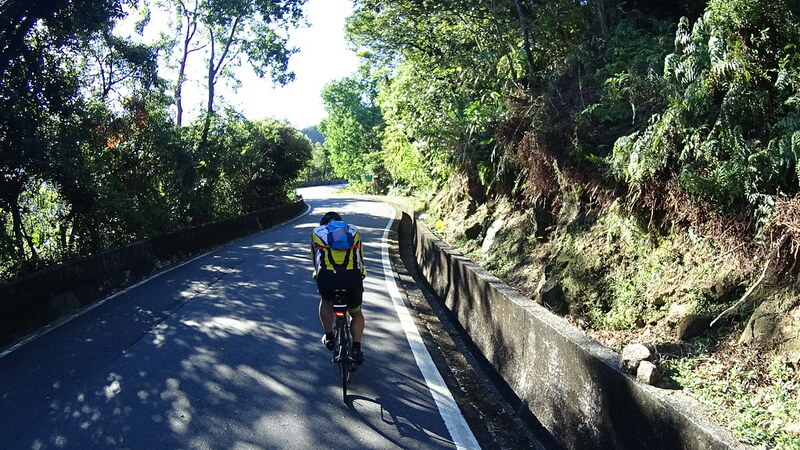 Right after the tunnel was a great descend part with awesome valley views! 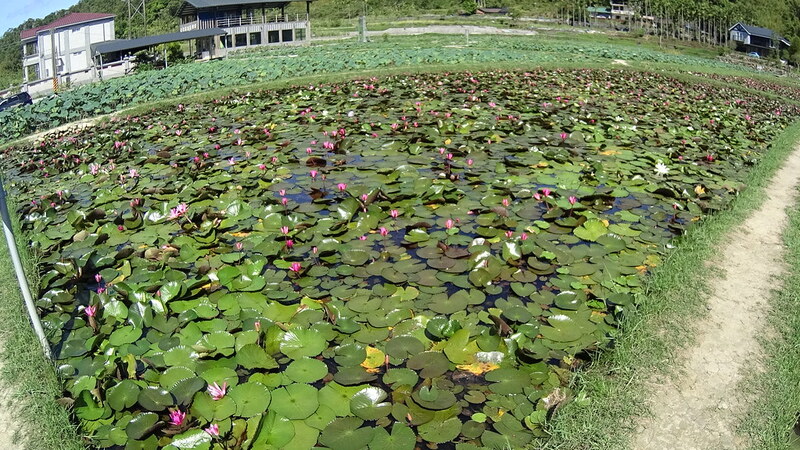 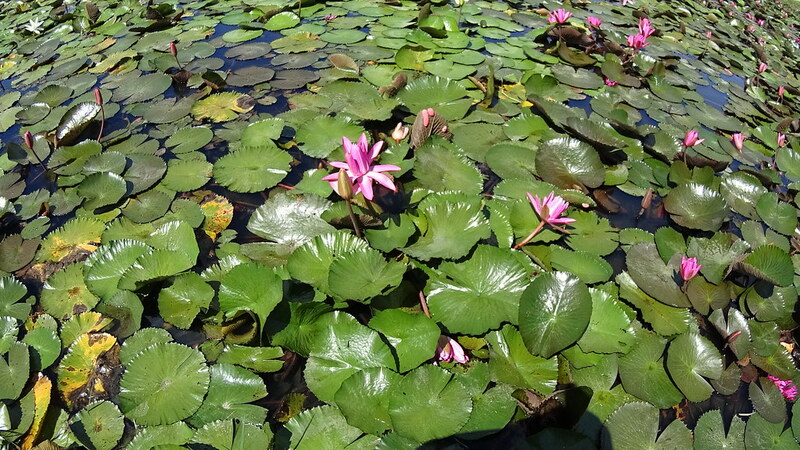 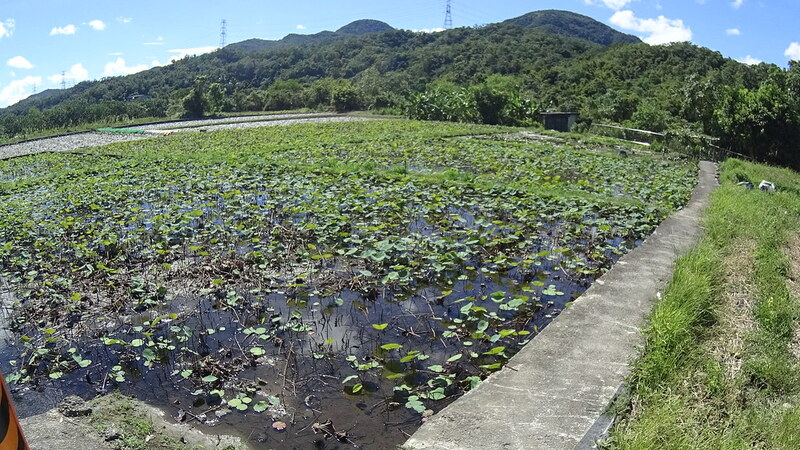 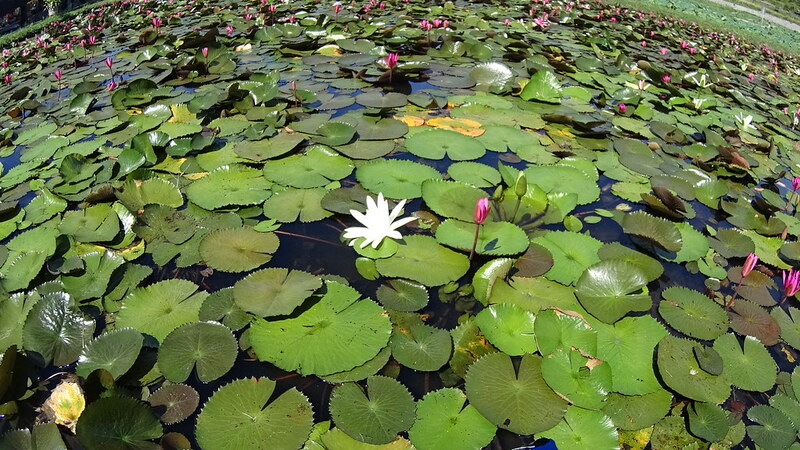 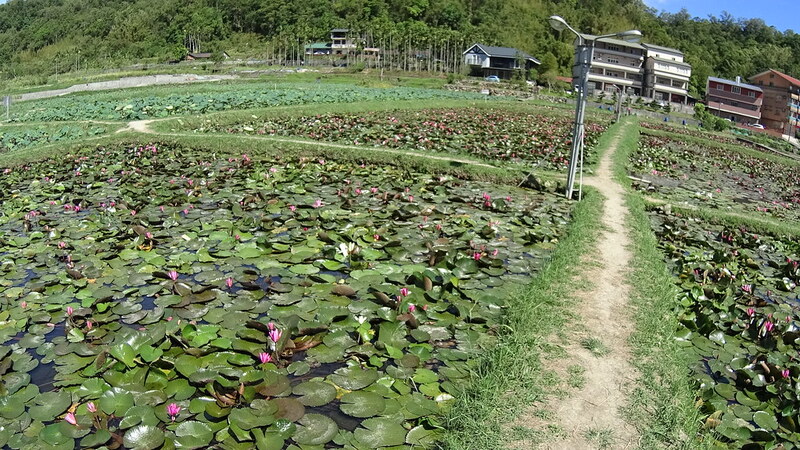 Along the way there were some lotus fields!